@Blumfields Shop 1940s 1950s Boucheron-Boivin VC&A Jewelry. 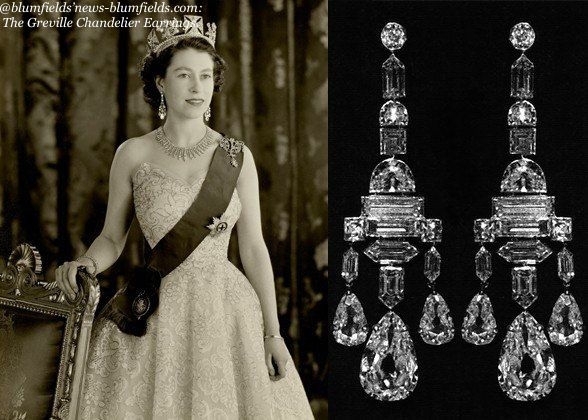 @BLUMFIELDS 1940s Jewelry :The Key Looks From The Most Decadent Decade. 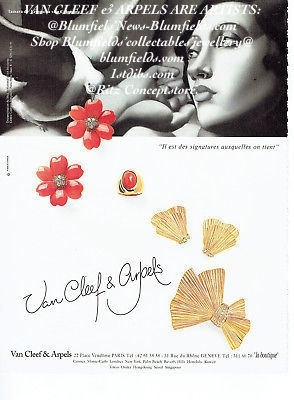 @BLUMFIELDS VIEW VAN CLEEF & ARPELS AND CARTIER CORAL JEWELRY. For Cartier , Boucheron and Van Cleef ...,like pearl,coral has his genesis in the sea and is organic product;also like pearl it is formed of calcium carbonate. In the 19th century, coral from the Bay of Naples was carved in Italy and used as cameos or ,in naturalistic forms, incorporated into necklaces and brooches. 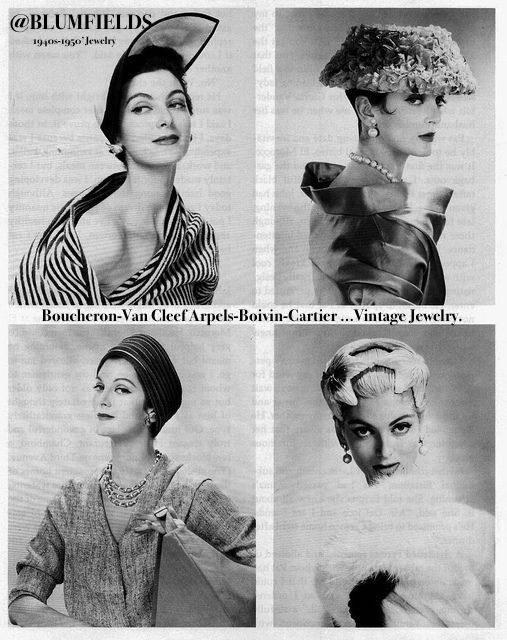 Typiclly coral is an orange red;pink varieties known approprietely as angel's skin(or peau d ange)are also popular.Cartier , Van Cleef... Jean Despres had been using it in the 30th , 60Th and the 70th...SHOP coral VCA , Boucheron , Cartier jewelry with @Blumfields.com -informations: contact.blumfields@gmail.com. BLUMFIELDS Pais Tribute To Mr Axel Dumas & Hermès Team For the Tenth Saut Hermès Paris. 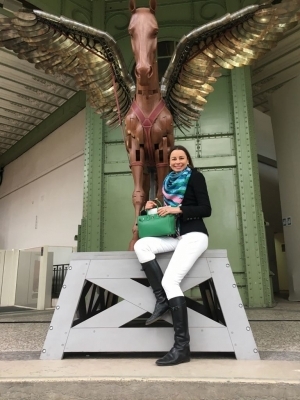 Mr Axel Dumas And Hermes Team was deployed yesterday to make the thenth Saut Hermès Paris this wonderful interlude a true celebration of excellance and beauty.Thank you so much for the Blumfields'invitation. 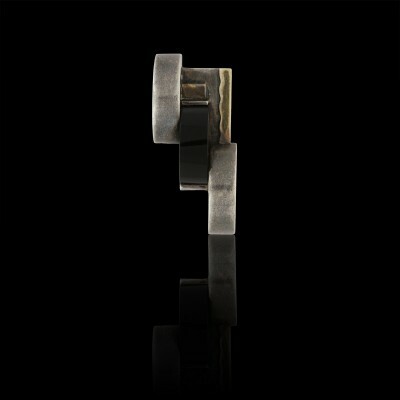 @BLUMFIELDS Passe-Partout Jewelry Transformable Into Bracelet Or a Belt With Detachable Clips. 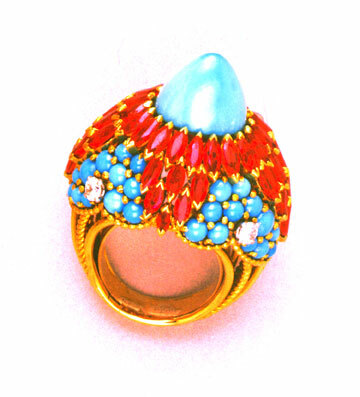 The passe-partout,lauched in 1939 at the World's fair ,as a versatile jewelry for the modern working woman,was designed as an exuberant spray of flowers composed of sunlit shades of Ceylon Sapphires,golden yellow anf cornflower blue,with centers of dark blue sapphires and rubies.Wildly successful, one ofVan Cleef & Arpels'most distinctive signatures.In a similar spirit, the Hawai series presented small,tightly clustered flowers of deep sapphires and rubies ,tied into artfully disordered bouquets, equally versatile ,aqually popular. 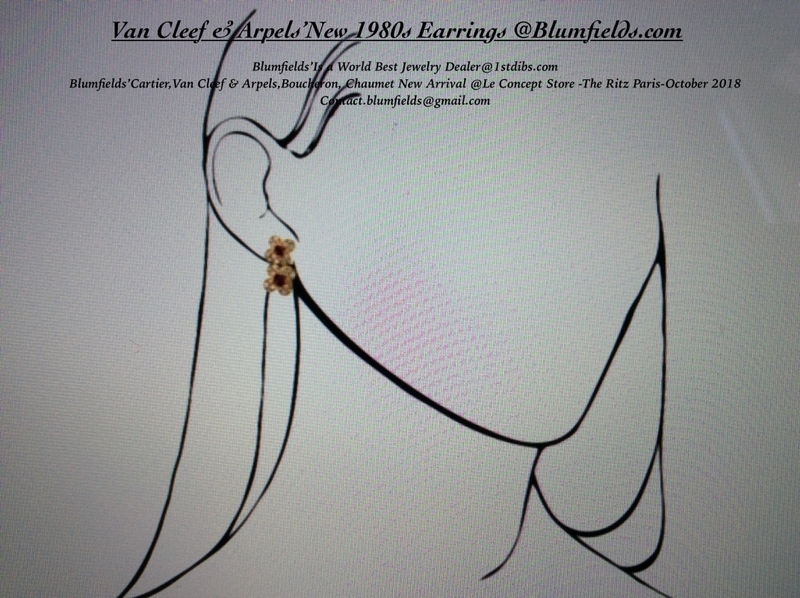 @BLUMFIELDS Shop "Passe-Partout- and-"Hawaï" Van Cleef & Arpels Vintage Jewelry.contact.blumfields@gmail.com. @BLUMFIELDS:Of all jewelry Maisons, Van Cleef & Arpels Has Unquetionaly Drown most From the World of Haute Couture. 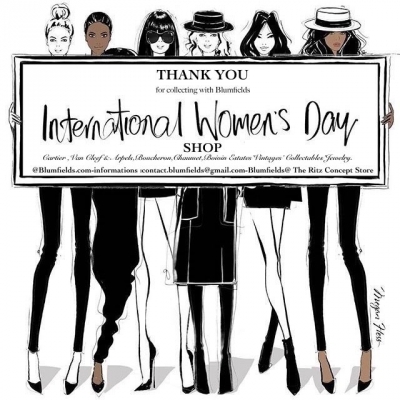 @BLUMFIELDS We celebrate The International Women's Day! 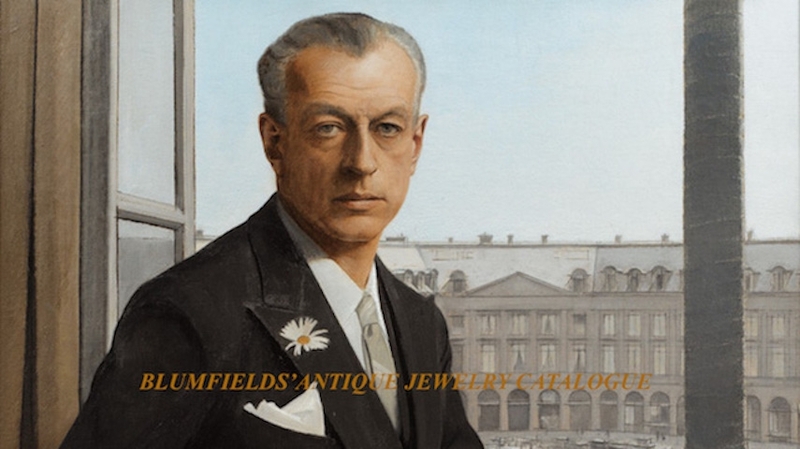 Thank You for Collecting With Blumfields.See What's New In Estates'Antiques'Vintage-Cartier--Buccellati,,Chaumet-Van Cleef & Arpels'jewelry. @Blumfields,Grace kelly Pearls Were Part of Her Signature Look. 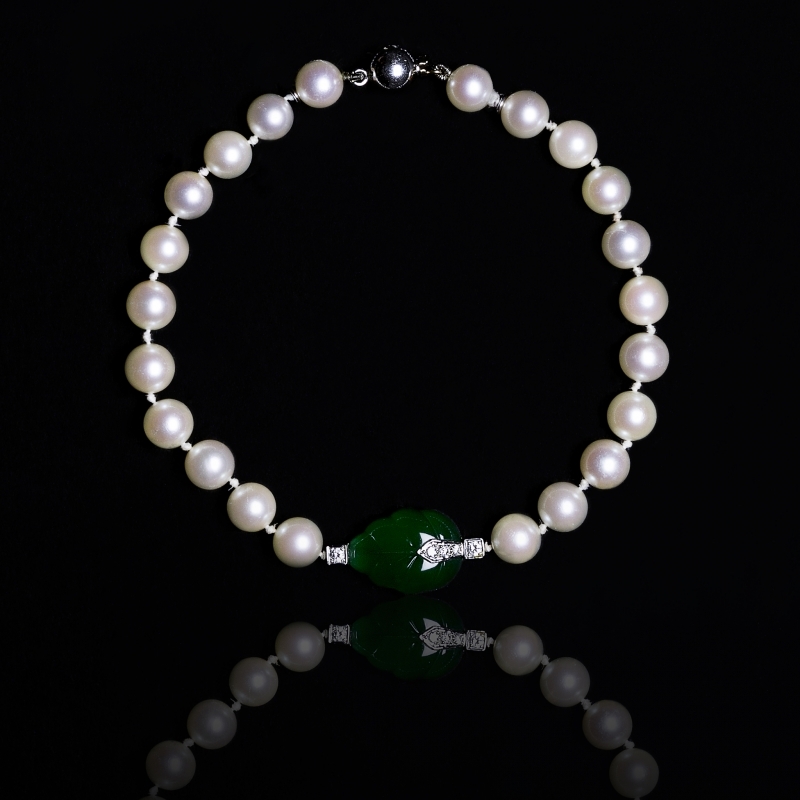 Thoughout history, pearls have captivated manking with their beauty,rarity and timeless appeal.Once limited to royalty, pearls have become universally revered as the utltimate symbols of refinement and taste. "Good "pearls were always the signature of the 20th century style icon Grace Kelly,during her hollywood days and long after she became Princee Grace of Monaco. 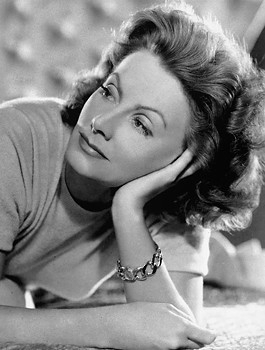 She famously said ,"I favor pearls on screen and in my private life ". @blumfields'show vintage Van Cleef & Arpels Pearls Necklace.Blumfields.com-1stdibs.com.Privat showing and informations:contact.blumfields@gmail.com. Marella Agnelli was The Swan of jet society She had perfect the art of nonchalant elegance.She a been showing me her world of taste and culture,her world of elegance and beauty.Thank you for having me in your "soigné worldly glamour "life. For ever in my active lifestyle choice. 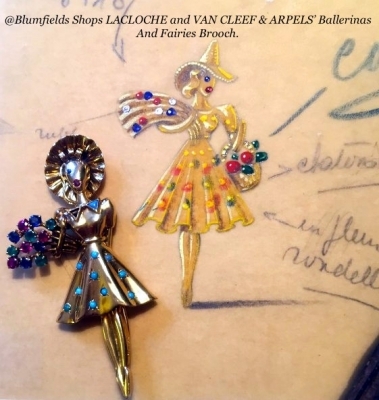 @BLUMFIELDS' Van Cleef & Arpels-Boucheron-Cartier -Buccellati & Chaumet 's 1970s Estates'Vintage's Collecatbles 'Earrings,Rings & Bracelets. In the field of jewelry,the style of the 1970s does not submit to any aesthetic rule,and the wole decade shows very little unity.If in the firt years of the decade the spell of geometrical abstraction of the 1960s is still alive,by the mid-1970s the "modernity" of geometrical jewelry is definitly considered démodé.Perhaps the most typical charactreistic of jewelry of the 1070s is the re-introduction in their manufacture of rock crystal,coral and exotic woods,the almost exclusive use of yellow gold ,together with a trend for variously and vividly coloured ornements,a development of the chromatic effect of the 1960s..Among of the famous names in the jewelery world to experiment with these materials was David Webb, Van Cleef & Arpels too , in Paris made great use of rock crystal in their celebrated suites comprising long chains with pendant drop ,earrings and often a ring as well,made of oval or lozenge-shaped links mounted in gold and highlighted with diamonds. Coral is the other material which come back into fashion and reached the peak of its popularity in the mid-1970s after having almost disappeared from jewelry since 1020s. @BLUMFIELDS-Van Cleef & Arpels :The mystery setting process innovated by Van Cleef & Arpels. Patented in 1933,the mystery setting process innovated by Van Cleef and Arpels begins with the art of lapidary. 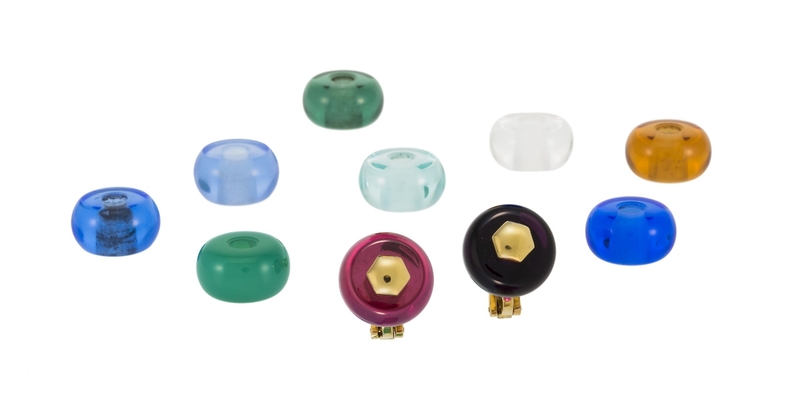 Gemstones, such as diamonds,rubies,sapphires and emeralds are carefully selected for matching color and calibrated the exacting standards,customcut to fit the flowing forms of the jewelry metalthat will support them. 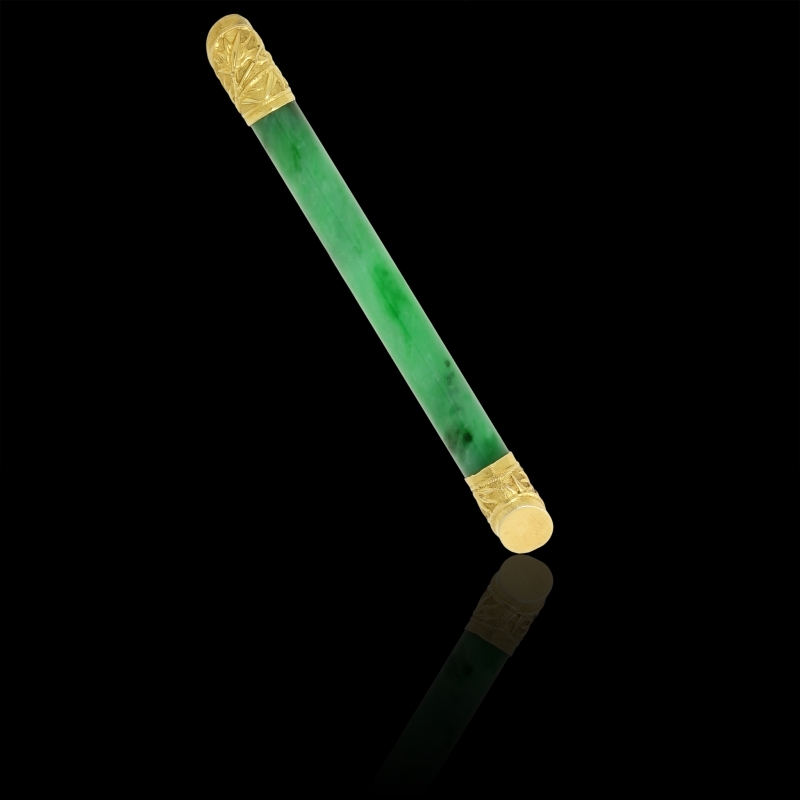 each stone is prepared with utmost precision and contains imperceptible grooves across the pavilion below the girdle of the gemstone.It is this delicate and meticulous cut that is crucial to creating the illusion of the seamless surface pf the mystery stting. HOW BLUMFIELDS FELL IN LOVE WITH BELPERRON DESIGN. 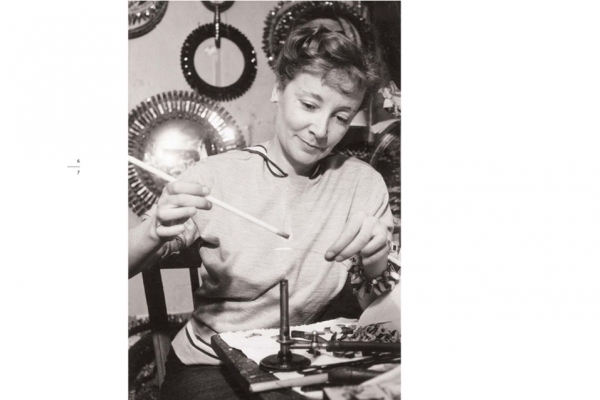 Belperron was modern , before the world was sais Blumfields.The Paris jeweler Suzanne Belperon began working in 1919 at the age 19,and continuded without stopping for the next 56 years. 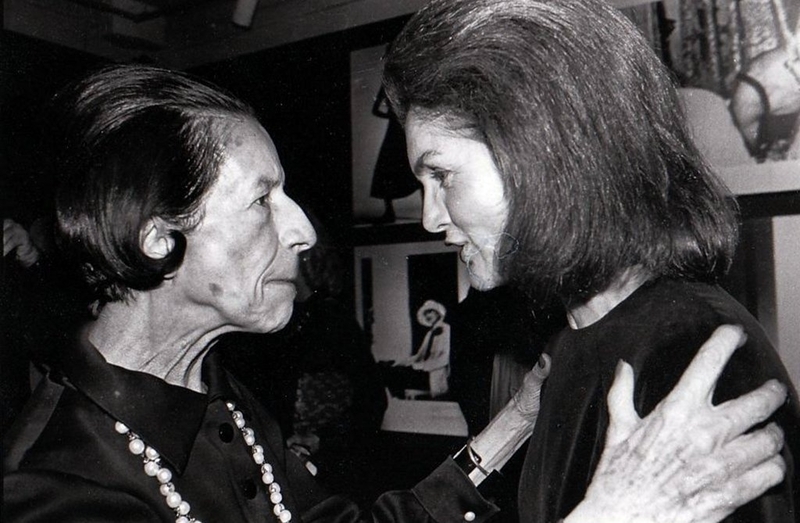 Her life and career spanned the modern movement in the art. Yet when Blumfields is looking at the work of this remarkable woman she can't help but feel she was interested only in her own ideas.This comes as a bit of a shock,multiplied by thousands of drawings she produced over her career,Her designs are so singular:bols,playful,anti-ornamental,that they tend to strip axay one's assumptions about jewelry in the latter half of the century,if not in the piriod before Worl War II.Her effect was nearly that of Coco Chanel fashion;Belperron's scrulptural shapes anticipated modern design and, like Chanel,she showed that high style could come from unfancy elements. 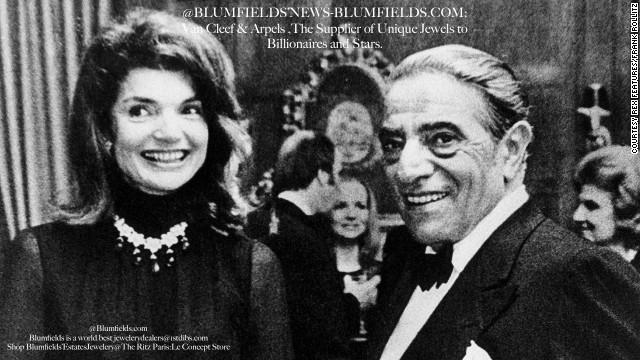 "She was the first to step away from the classical ideas of jewelry"sais Blumfields. 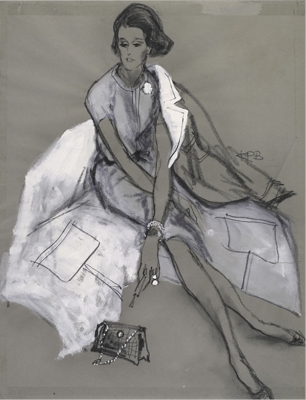 "There 's no one like her",Karl Lagerfeld , an avid Belperron collector,said one day last summer in the Chanel studio as he flicked though Iphone images of rock crystal cuffs and brooches set with colored stones. "You can pick up most pieces of Belperron and know it is a Belperron. She had a signature" sais Blumfields.But she never signed her work"My style is my signature" Belperron one said. "I fell in love with Belperron design on seeing the archives during a spring break in Paris ate the age of 10" sais Blumfields. 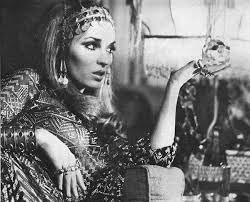 "I reminber thinking it did not have anything to do with what peaple usually associate with jewelry:fancy stones or decorating a woman. 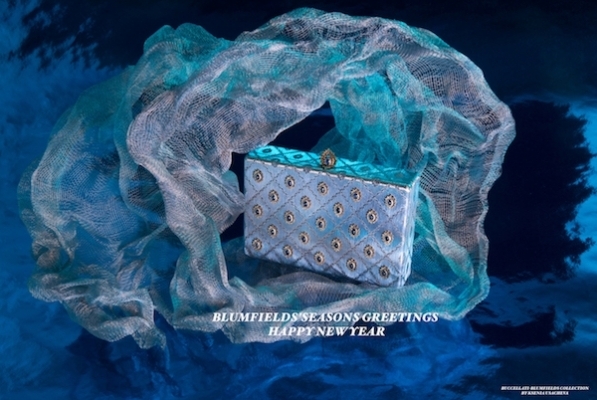 "They wear simply beautiful drawings.BLUMFIELDS with style luminaries such as Karl Lagerfeld, Daphne Guinness and Catherine Deneuve among dedicated Belperron collectors of today it makes Blumfields's chance purchas 40 years ago seem very good deal indeed. 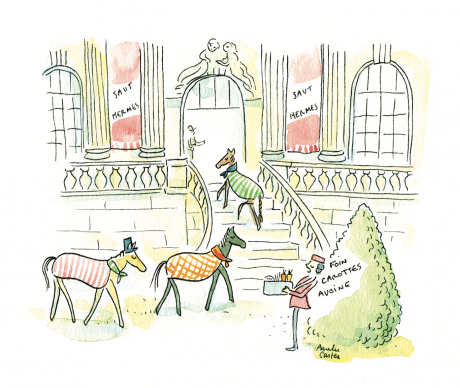 On Sunday 20th January ,Blumfields@ Hermès Women Winter pre-collection. Respect for the creation and the artisans. Clip-on earrings have been around for a little over the century now , and have undergone a few adaptations along the way.The first clip-ons, designed for elegant Victorian Ladies xho consirered it a disgrace to poke holes in oneself.In 1894, These earrings have no hinge and are fastened by tightening the screw against the back of the lobe to hold the earringin place -a fully adjustable option for comfort.A more convenient and less fiddly design was the simple hinge clip,arrivingon the market in the mid-1930s. This simple clip, arriving on a hinge to open and close the earrings and fasten them to the lobes Quick and easy to do.The 1950s saw plethora of clip-on earring designs submitted to the patents office, of witch was the one we see most commontly today: The adjustable paddle clip with the spring bar on the hinge . This design has endured because of the sumplicity, ease of use , and cost-effective production. Raymond Templier The 1920s -1930s "Artist-Jeweler". Templier was one of the small group of innovative of Art Deco designers producing work in a minimal, geometric style that loocked towards Cubism and the imagery of industrial production. He joined the family business as an "artist-jeweler"in 1922.Raymond Templier personally designed everything with his signature.In 1930, he was a founding member of the French Union of Modern Artists. In 1935, he took over the running of the MAISON TEMPLIER from his father, Paul. His work is in permanent collections of New York's Metropolitan Museum of Art and London V&A. 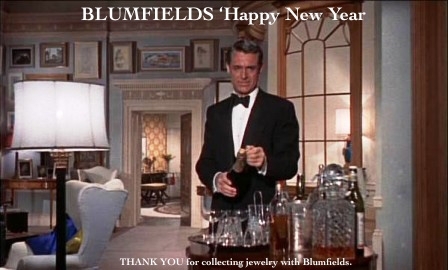 BLUMFIELDS Is Wishing You the Best In the New Year. Blumfields' Season's Greetings And BestWishes In The New Year. 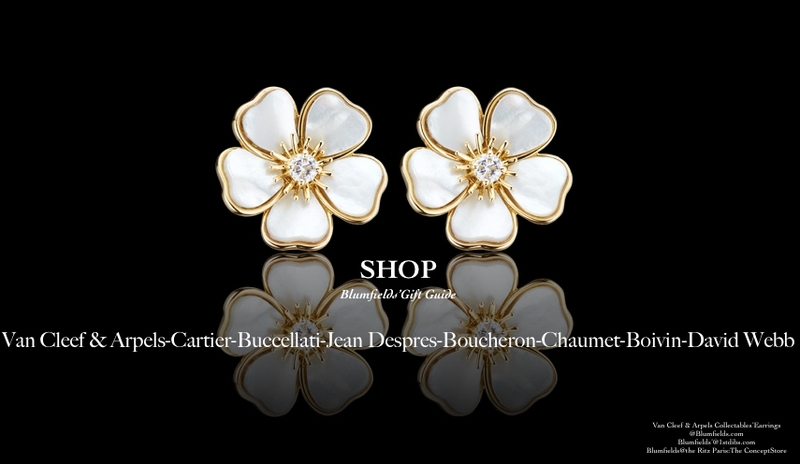 Shop Blumfields'Cartier-Van Cleef & Arpels-Boucheron-Chaumet Holiday Gift Guide And Give Beautifully. 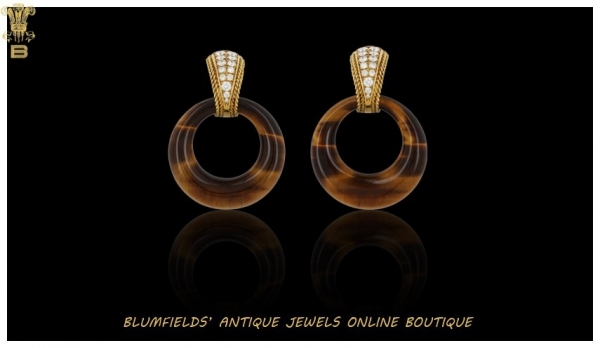 Explore Gifts on Blumfields.com:Signed Antique jewelry. 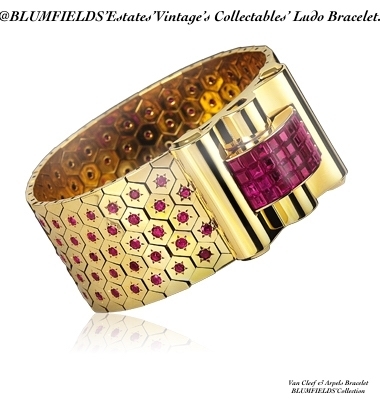 @Blumfields:All THE COLLECTABLES JEWELRY YOU WISH FOR TO WEAR WITH LEOPARD PRINTED PIECES. Knowing how to wear leopard print and jewelry comes down to this one simple,unwritten rule :Treat it like any black item in your wardrobe.Despite its ubiquity, leopard prints popularity began with one designer and his muse-more specificlly,Christian Dior and Mitzah Bricard.bricard was fascinated by leopard print and as a result ,during the '50s,Dior created a range of his accessories featuring the design and Boucheron created large brooches to match with elevating leopard and large brooches be the must-have of the moment. From the 60s to tthough to the 80s leopard-print was often associated with rockstars. Debbie Harry of Blondie wore it better than anyone else with large VC&A earrings Nowadays, it is a classic for any closet but particularly booming for autumn/winter 2018.In 2018 there is plenty of fashionable ways to enjoy it :Withe VC&A 1960s coral and pearls ring and Brooch,Withe 1970s interchangable earings as the picture,with 1930s Jean despres bracelet....Keep scrolling the rules how to wear leopard print and shop key estates' collectables'earrings @ Blumfields.com-Blumfields is a world best jewelery dealers @1stdibs.com. @ the Ritz Paris -The concept store. @BLUMFIELDS,The Art Of Wearing 1960s Jewelry. 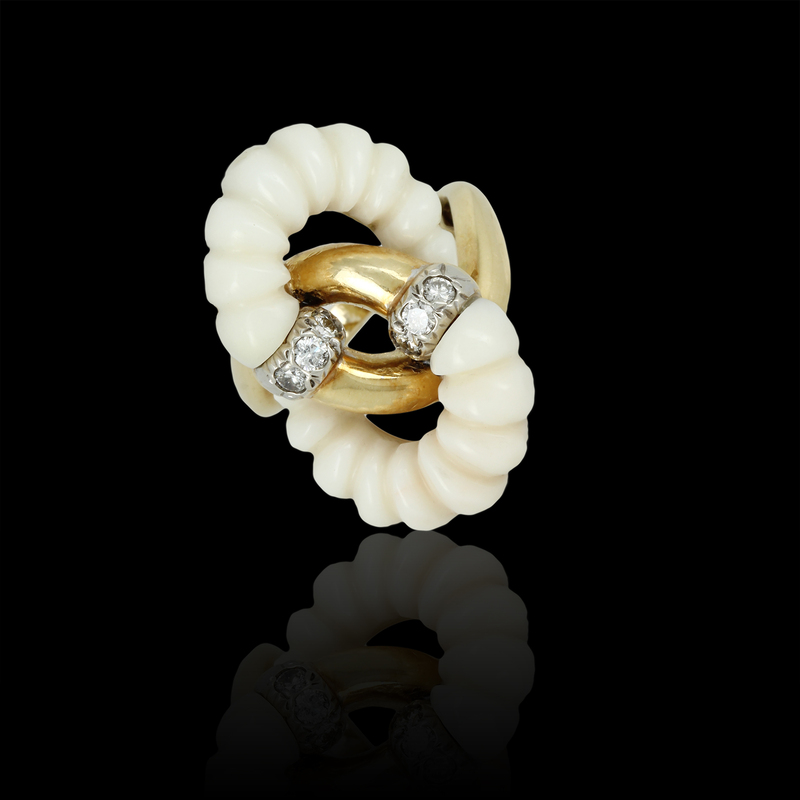 During the 60s,jewellery trends changed dramatically.At beginning of the decade,glamour reigned supreme with glitzy ,gold designs and feminine pearls. However,as the decade moved forward and mod fashion caught on jewellery because all about eye-caching creations. These bold accessories were influenced by pop art and featured striking design,geometric shape and bright colours. Key pieces included large and colored earrings,big and colored rings and bangles. 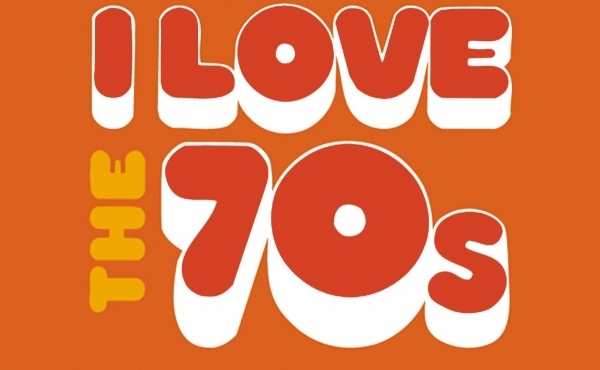 Of course, these styles weren't for everyone,so hippies opted for more simplistic designs. 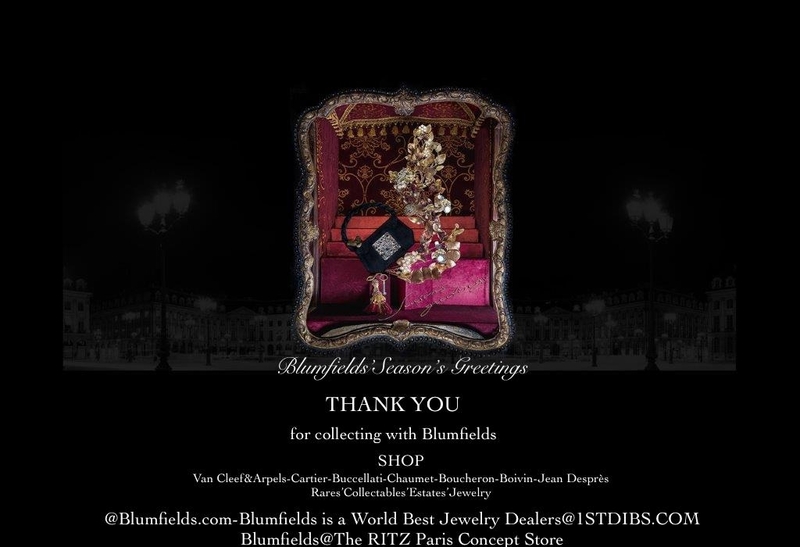 BLUMFIELDS HOLIDAY GIFT:Cartier, Van Cleef & Arpels,Boucheron, Boivin , Jean Despres...Estates'Collectables'Jewelry. 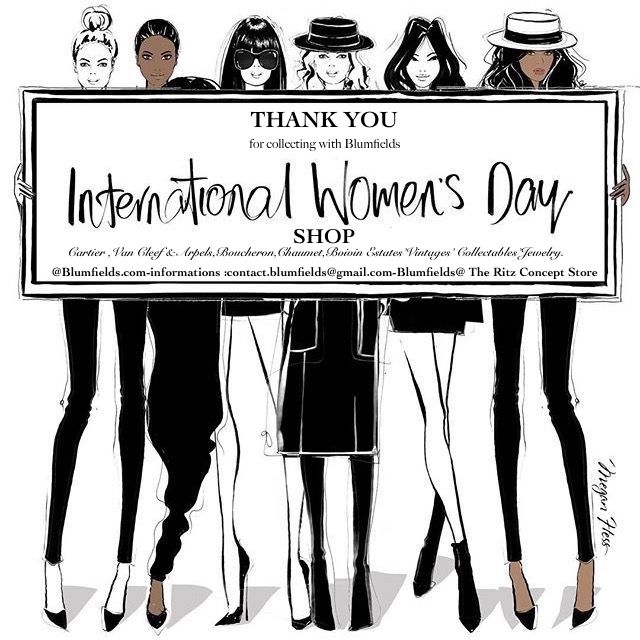 Shop Blumfields and give beautifully : BLUMFIELDS.COM. 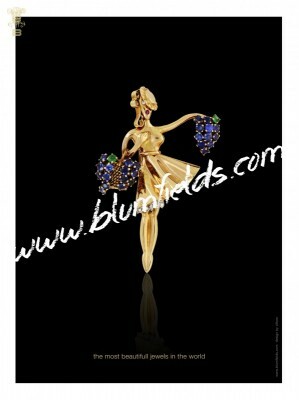 Blumfields is a world best jewelry dealers @ 1st dibs.com. 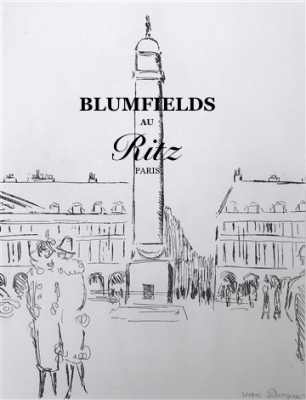 Blumfields@ the RITZ Paris:The concept Store. 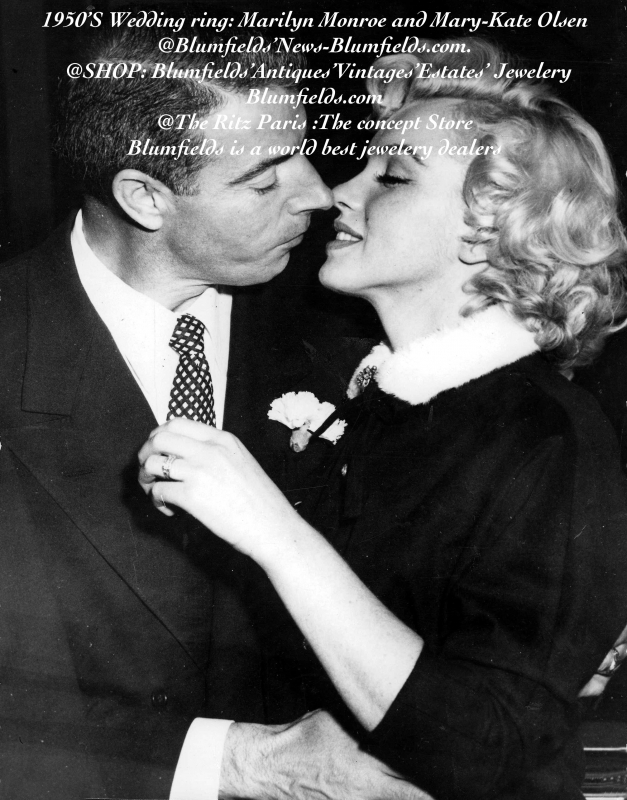 @BLUMFIELDS:1950'S VINTAGES' SIGNEDS' RINGS :MARY-KATE OLSEN & OLIVIER SARKOZY -JOE DIMAGGIO & MARILYN MONROE'S WEDDINGS' 1950S RINGS. On january 1954 , Joe DiMaggio,the greatest baseball star of all time maried Marilyn Monreau, Hollywood's reigning moviest with a 1950s baguette cut diamond eternity band .They were the most famous couple in the world .60 years later when Olivier Sarkozy proposed to Mary-Kate Olsen with vintage Cartier engagement ring:A four carats European-cut diamond surrounded by 16 sapphires and the "petals" are single-cut'diamonds.By now MARY-KATE and ASHLEY OLSEN love for antiques''vintages' Estates'jewellery is known by all the fashion world.It was not until 2006 that Mary-kate and Ashley Olsen brought us elegantly chic sartorial looks from their LA-based label THE ROW , and we knew it was only a matter of time before their clean and refined silhouettes expanded to a newly curated selection of vintage jewelry was worth to wait. In an interview with "W", the duo spoke about jewelry buying as a personal experience. "se JEWELRY is very special, and can be sentimental,"Mary-Kate said .And this is reflected thoughout the collection. The range offers up pieces from Georgian and Victorian era items. 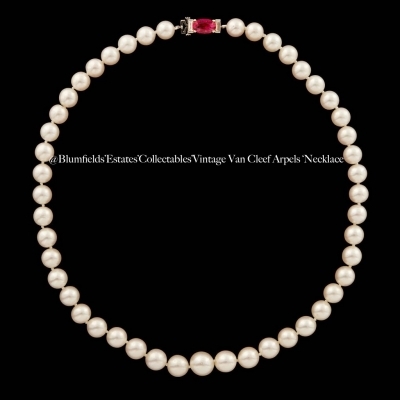 Shop 1950s Boucheron, Cartier,VC&A, antiques' vintages'Estates'jewelry @BLUMFIELDS.COM,BLUMFIELDS IS A WORLD BEST JEWELRY DEALERS @1STDIBS.COM.SHOP -BLUMFIELDS'@THE RITZ PARIS :concept Store. As in many ads for deluxe artivles,the message is understated and concise,leaving the lion's share to illustation. the caption is part of the sales pitch. 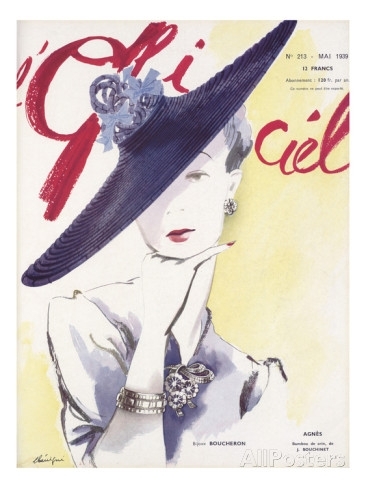 This visual is fictional in that the association between the jewellery and the artwork is operated by an improbable artifice,decking out the female figure with a diamond necklace?thus the creations of Van Cleef & Arpels are presented as the art of jewellery. 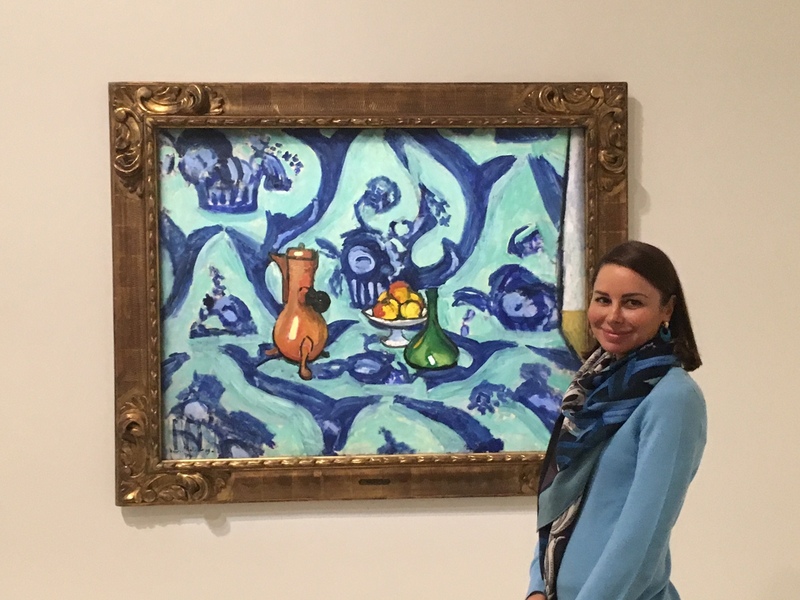 This association takes place though the insertion of the diamond and emerald necklace into artwork and the slogan where the signature of the house is "one that count",as is,of course,that of the artist. In short,Van Cleef & Arpels are artists.their pieces of jewellery works of art and the purchaser the idealised woman in painting. 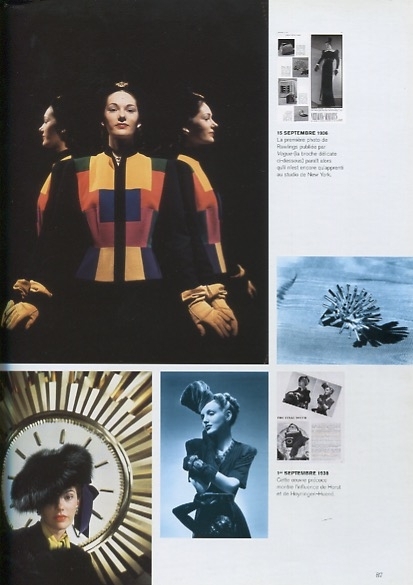 These ads often appeared on the back cover of an upscale art magazine(FMR). This is highly desirable placement because the ad is still visible when the publication is not being read. The target market is cultivated and well-off. 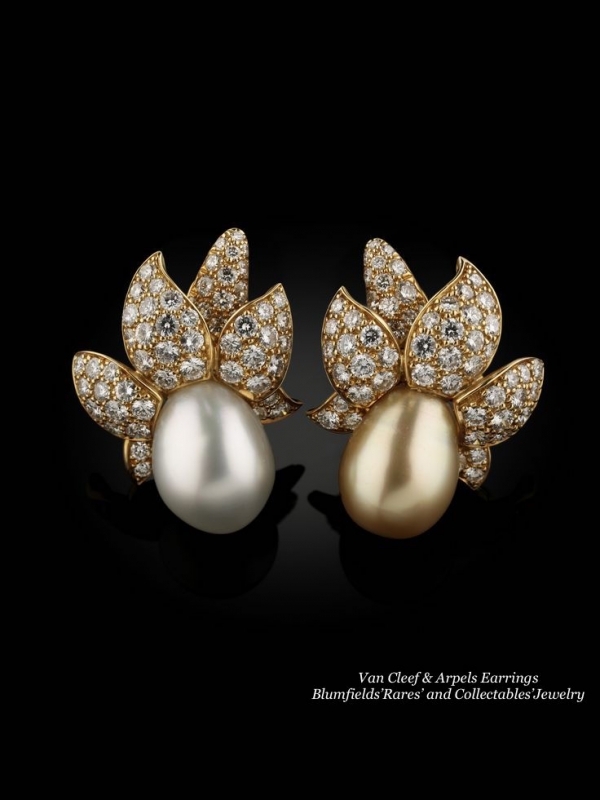 In 1995,when Van Cleef & Arpels first tried to penetrate the American market, they stopped using art to get teir message across, they stopped using art to get their message accross. Insted, they began using visuals of real young women wearing the company's jewellery and placed these ads in women's fashion glossies, in order to project a less elitist and intimidating image. 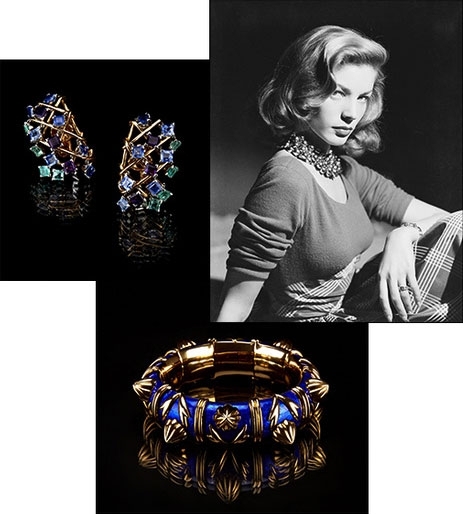 @BLUMFIELDS:Here's How to Wear Antiques' Collectables'Statements' Jean Despres, Cartier,Buccellati...Jewelry. Blumfields advise her clients who wear Buccellati,Van Cleef & Arpels,Cartier, Boivin....antiques 'statments' collectables' jewelry that they should be wearing plain,simple clothing and not overly exiting patterns or colors.What you are trying to do is allow your jewelry to stand out and give your outfit the wow factor-Your statment piece can be either a necklace,(@Blumfields'Chaumet 1970s necklace)earrings(@blumfields,VC&A earrings-Chaumet 1970se earrings...) and in some cases the bangle(@Blumfields'Jean Despres 1930 bangle)-Buccellati 1970s bangles)or bracelet(@Blumfields'Seaman Schepps 1950s bracelet).You can even match the bracelet to the necklace-but remember never to overdo it. make sure to stock up on antiques' collectables' statments' pieces so you have enough to swap each and can match to each of your basic daytime outfits. An antiques' statments' necklace should be bold and bigin size-The greatest beauty it is that you don't need to think what to put with it ,you just need that one gorgeous stand out piece. the necklace should fit with the neckline of your top or dress and can be matched with a pair of earrings or bangle. Do not choose opposite type of statment pieces or they will clash, they should be of the same style/design otherwise you will overdo it. 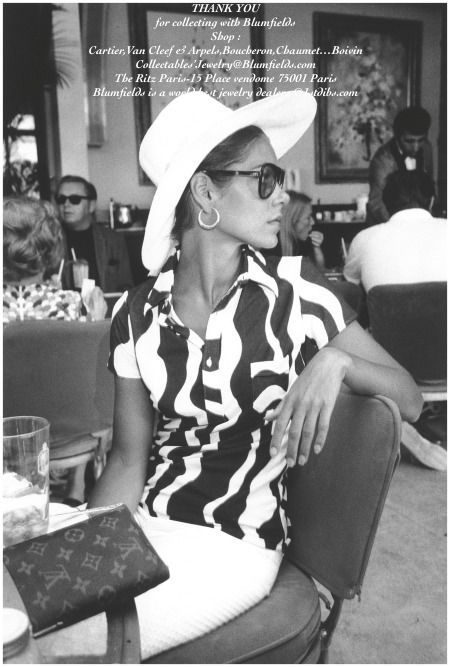 @Blumfields Audrey Hepburn Style and Classic Jewelry Lessons. ELEGANCE IS THE ONLY BEAUTY THAT NEVER FADES-BLUMFIELDS.Thes words, from Fabienne Blumfields has truly been immortalized by Stylists and beloved actress AUDREY HEPBURN.It has been years since Audrey Heptburn , the etherneal vintage icon, has passed away,but her in wisdom,acting,humanitarian work, and fashion has not ceased.She is still one of the actors of the golden Age of Holywood that has an undying influence on the generation .I would always get a style tip from her example that made my client look immaculate.Her vintage jewelry are an inspiration.Aside from her clothes, her jewelry choices are always top-notch.they are classy fitting for a woman like her . 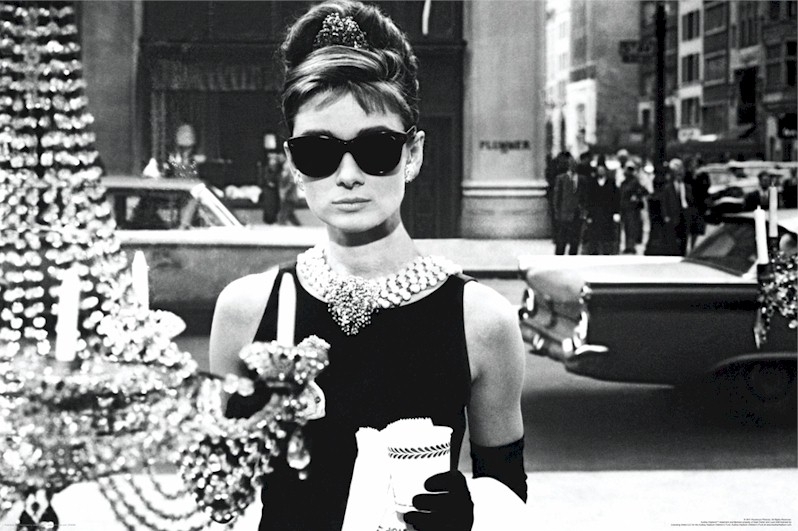 She is famous for her movie"breakfast at Tiffany's".So today,we will take a few inspiration from Ms Audrey Hepburn. 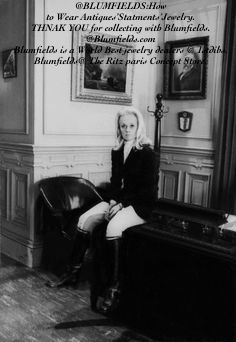 If you love class and if you are searching for a way to look like MS prim and Proper,then you are stumbled on the right blog.Go on Blumfields.com or at the Ritz paris Concept Store to shop VC&A 1960s earrings ,Buccellati 1970s ring...Blumfields'is a world best jewelry dealer @ 1stdibs .com. Go and Shop a Mellerio Brooch,a 1930 lighter from Cartier, a 1950 Boucheron Minaudiere.. If you are the kind to put off changingyour earrings with every new outfit, go for for timeless Van Cleef & Arplels 1960s interchangables earrings(Blumfields.com) or Boucheron 1970s earrings (on Blumfields.com)vintages classics earrings for effortless style.Count on mini hoops to complement anything from graphic tees to sunday dresses.The Collourd hoop or textured one helps to put your own spin on this simple look-Its is going to be on your ears for a while anyway! BLUMFIELDS:1975s Bulgari Gourmette Sautoir was a favorite of Taylor who wore it the day of her engagement to 6th husband , John Warner annouced in 1976. BULGARI is synonymous with luxury,Hollywood and of course, Elisabeth Taylor.The Dame became famous for her love of over the top jewels but had a particular obsessionwith Bulgari her jewelry dispensary.Richard Burton once said "I introduced Liz to beer,she introduced me to Bulgari.The only word Elisabeth knows in Italian is Bulgari;"Liz isn't the only star who's taken to the brand. 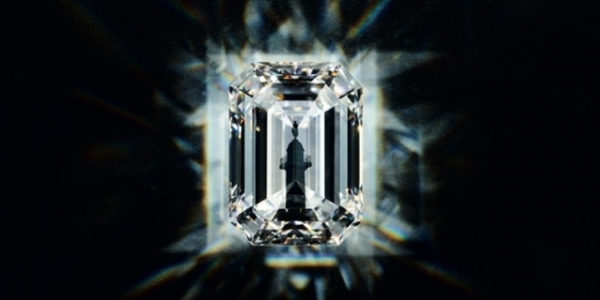 VAN CLEEF AND ARPELS ,CARTIER,BOUCHERON,CHAUMET AND BUCCELLATI ,HAS ALWAYS BEEN THE PRIVILAGE SUPPLIER OF UNIQUE JEWELS TO BILLIONAIRES AND STARS. Since its beginning in 1906, the elegant Maison Van Cleef & Arpels has always been the privileged supplier of rare gemstones and unique jewels to royalty,aristocrats,buisness magnates,billionaires,exotic Maharanis,artist and Hollywood stars.They all mingled together at the same international events,creating that sparkling tableau vivant known as Café Society,all bedecked in sumptuous Jewelry. :The epitome of beauty,exclusivity and ultimate refinement.Wearingthese pieces, they have perfectly idealized the world of sophisticated luxury,extreme beauty,and singular era and lifestyle.From the elegant though the 1950s,1960s and well beyond,up to the Jet-Set years,these icons of character,panache and glamour have been perfect testimonals to the antiques' estates and collectables jewels of Blumfields'collection.Thanks'to Blumfields'recent Cartier, Van Cleef & Arpels,Boucheron,Chaumet...recent aquisitions for its unique collection to shop @Blumfields.com. Blumfields is a world best jewelery dealer @1stdibs.com.Shop Blumfields at the Ritz Paris Concept store. @Blumfields'New 1980s Van Cleef & Arpels Earrings:A Meditation On The Way To Wear The most Intimate Accessory:The Flowers 'Earrings. Van Cleef & Arpels, Chaumet,Boucheron,Cartier ...collectables' earrings are probably something you have been admiring but never quite dared to try to incorporate in your outfit. 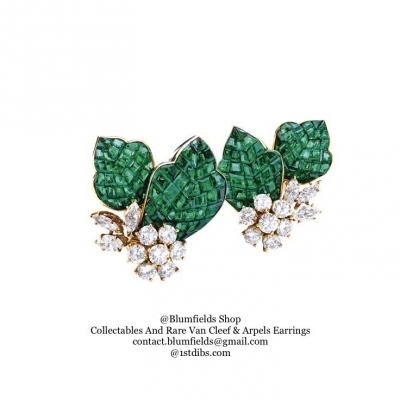 Perhaps, they are part of everyday look?Or maybe you spend your morning trying to decide what clothes to match to your chunky showstoppers?Whatever the reason that brought you here ,BLUMFIELDS is happy to share ways to wear VAN CLEEF & ARPELS, CARTIER,CHAUMET. 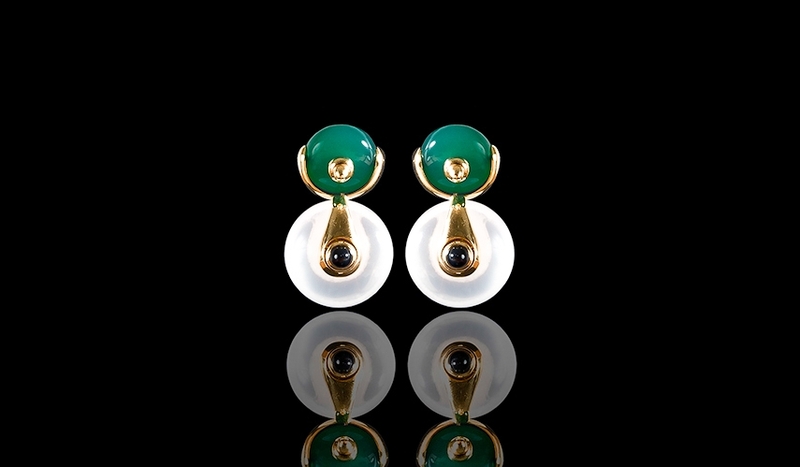 BOUCHERON...Collectables'vintage's Earrings. 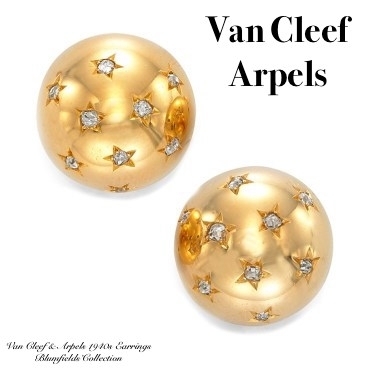 1-Combine :VAN CLEEF & ARPELS vintage earrings with black outfit:... All black outfits always need a pop of colour or sparkle to highlight the look.It can be a pastel baby skine coral 1970's CHAUMET earrings .or a bright and shiny 1980'VAN CLEEF & ARPELS diamonds and rubys earrings . Shop similar Flowers earrings @ Blumfields.com and 1stdibs.com:BLUMFIELDS. 2 - Flowers earrings are perfect add on the tied chambray shirt and full white midi skirt :In September , you can look casually smart with tied chambray skirt,combined with a full white midi skirt and some white accessories like VAN CLEEF & ARPELS 1970s Earrings feature mother of pearls petals with a center in diamonds. 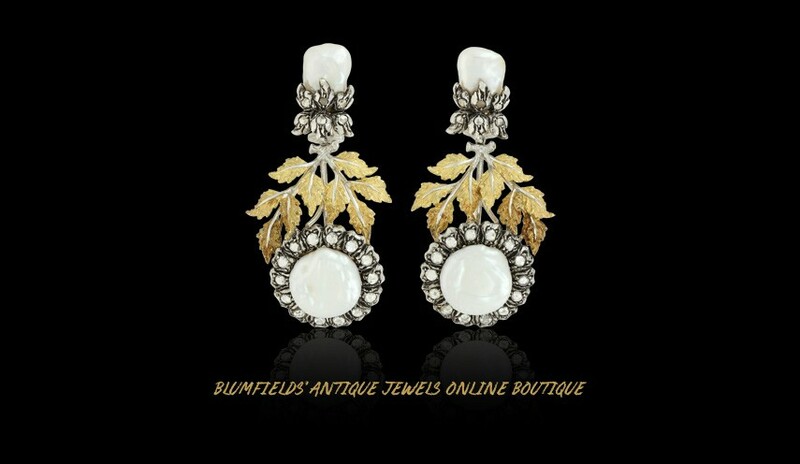 SHOP VC&A 1970s EARRINGS @ BLUMFIELDS.COM and 1STDIBS.COM:BUMFIELDS 3- CHAUMET 1970's Lapiz lazuli or VCA 1960s Turquoise and Pearl Earrings With White Linen boho dress : If you are looking for a fresh outfit you can wear out and about town and feel as if you are on your way to the beach at the same time , you can pair a feminine white linen boho dress with VCA turquoise and pearls 1960s earrings or CHAUMET 1970s Lapiz lazuli earrings: SHOP VC&A and CHAUMET vintage earrings @ BLUMFIELDS.COM and 1STDIBS.COM 4:MARCHAK 's Vintage Turquoise And Diamonds Earrings is Best for Blak Outfits: All black outfits are never out of style.red lips and Marchak vintage turquoise earrings can be the things that grab attention.Street style have never been so vibrant than now when vintage collectables jewerly rules the world. 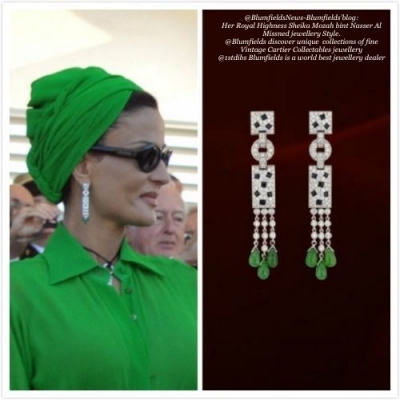 SHOP MARCHAK'S TURQUOISE EARRINGS @ BLUMFIELDS.COM or BLUMFIELDS is a world best jewelry dealer at 1STDIBS.COM. 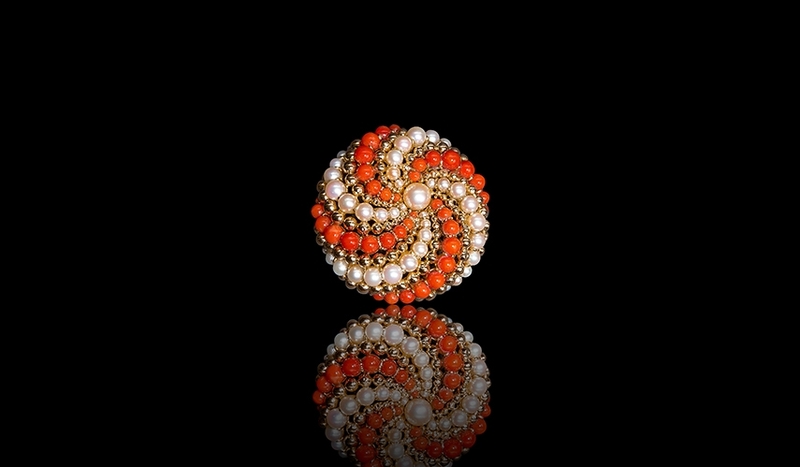 5-CHAUMET 1970s Coral or Lapiz Lazuli Earrings for Denim on Denim with High Heels:J eans on Jeans and high heels . 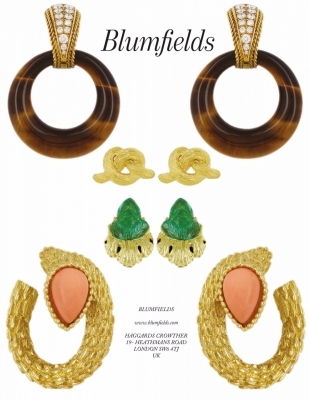 Make this outfit glam with a pair of 1970's earrings.Shop 1970s Chaumet earrings @Blumfields.com or 1STDIBS.COM :Blumfields is a world best dealer at 1stdibs.com. 6-Van Cleef & Arpels 1980s Diamonds ans Ruby Earrings (on Photo). Black dress and leather jacket combined with delicate sparkling earrings.Black dresses and leather jacket!It is almost like Sandy and danny from grease are failling in love again!They just like this cute outfit and the VC&A 1980s earrings are perfect for each other. 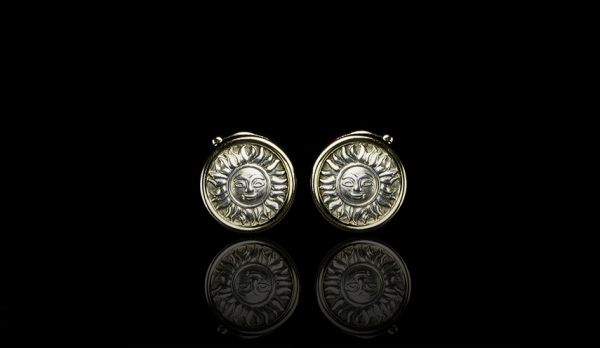 Shop VC&A 1980s earring on Blumfields.com . FOR ALL INFORMATIONS:contact.blumfields@gmail.com. BLUMFIELDS' SAIS "DAVID WEBB"IS A JEWLERY DESIGNER THAT HAD BEEN ALWAYS ASSOCIATED WITH ESTEE LAUDER! 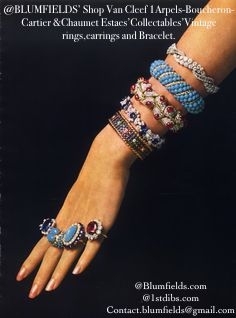 In the 60s and 70s ,Estée Lauder donned David Webb adornments.Estée Lauder was a customer of David Webb jewelry house during a formidable time in her company, as it grew into a great beauty product entity.Both famed brands experienced a similar success trajectory:Estée Lauder in cosmetic, david Webbin jewelry.Estée Lauder was a business magnate ,with refined taste and known for her art and jewelry collection.Estéé Lauder bought a number of David Webb pieces and wore then with pride,verve and style. Just as the two brands have been associated ,fragrance and jewelry themselves boast an interconnected history. It was not unusual in the 17th century to have pieces of jewelry double as perfume vessels.As both scent and jewelry have to do with the enhancement of femal beauty. It is a perfect pairing. from ancient times right up to present, there is something beautiful and noble about jewelry and fragrance: They elegantly combine into the look,feel and scent of the woman. The Ritz Paris Dreamed Up The Most Discreetly Elegant "Covered Passage Promenade ". The Cover passage of Paris are an early form of shopping Arcade built in Paris In the first half of the 19th centuay.The common characteristics of the "Covered passage" in paris are they are pedestrianed,glass-ceilings,privately owned,highly ornamanted and decorated,lined with elegants 'shops,connacting two street. The pleasure of covered arcade resoneted to the wife of César Ritz who built the most beautiful hotel in the world, on Place Vendome.The Ritz Paris open in 1898.Its success was such that, in 1911,another building was constructed on rue Cambon side.To connect the two buildings and on the advice of her husband Cesar Ritz, Marie -Louise conceived a gallery inspired by "the Paris Covered Passage Promenade".The newly modernised Gallery of the Ritz Paris has not changed.Jewelry houses, couturiers, and designers...make the gallery arguably the most sophisticated shopping destination in Paris . From October 2018 SHOP BLUMFIELDS COLLECTABLES' CARTIER, VAN CLEEF & ARPELS ,BOUCHERON,BUCCELLATI,BOIVIN ,ANTIQUES' JEWELRY at THE RITZ PARIS CONCEPT STORE. LADY BLUMFIELDS:"NOBLE CORAL"IS CONSIDERED TO BE THE MOST DESIRABLE TYPE OF CORAL FOR JEWELRY. Precious coral is a deep water coral that forms in rocky seabeds with low levels of sedimentation typically in dark environments over 500 feet deep.Precious coral is slowly built by very small marine animals known as coral polyps.These biological formations grow very slowly,often as little as just 1millimeter year.Most coral gemstones available today are varieties of Corallium rubrum. In the trade Corallium rubrum is sometimes referred to a "noble coral". and is considered to be the most desirable type of coral for jewelry.Noble coral also include the popular "angel skin coral". HOW DOES FULCO DI VERDURA A SICILIAN DUKE BECOME A JEWELRY DESIGNER? 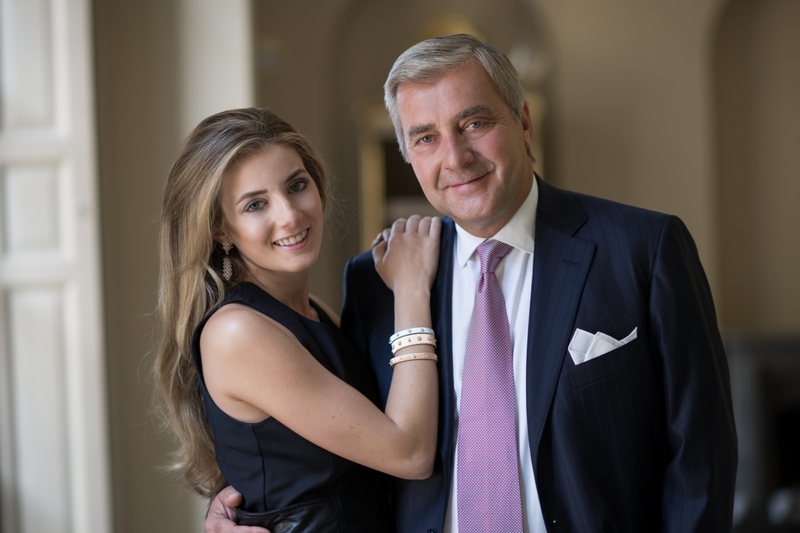 How does a Sicilian duke become a jewelry designer? 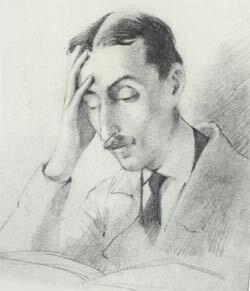 This was the unlikely trajectory of Fulco Santostefano della Cerda, Duke of Verdura and Marquis of Murata la Cerda who was born in 1899 at the Villa Niscemi outside Palermo and died in NY in 1978.His early life ,which he described ,unfolded in a setting and atmosphere worthy of Visconti's film of "The Leopard".It was a world that was already vanishing when Fulco was a child.Although living in the archaic cocoon,the Sicilian nobility nevertheless kept in touch with influential figures in the wider worl, and it was this that gave the young Fulco the opportunity to make friendships that would prove instrumental in fundamentally changing his life.On his father's death in 1923 he inherited the family title,while also learning that the family fortunes could no longer maintain his accustomed lifestyle.This had the effect of freeing himfrom all constraints and encouraging him to make a life elswhere and forge a career-a rare phenomenon among the aristocracy,for whom an interest in art might be a distraction or entertainment, but never under any circonstances a means of earning a living.After meeting Chanel ,he went to work for her .The great couturier asked him to design jewelry for her.Fulco was soon to wrok wonder as a designer..His baroque, brilliantly colored creation,using tourmalines,aquamarines...then rarely used in jewelry.Verdura was never going to be satisfied with playing second fiddle,however,and decided to set up his own business.In 1934, he moved definitly to NY where Diana Vreeland introduce him to Paul Flato.In 1939 Verdura opened his own business .Ten years later he open a Paris branch. He loved workin in Paris ,wither. outstanding crafmen such as Drouet and Verger.In London he suffered a serious road accident that was gradually to erode his health. 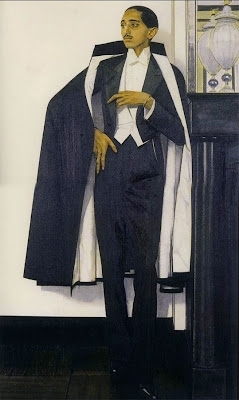 In 1950, Verdura stated to paint .Caricatures of his friends were his forte.It was this light wit,that encapsulated the charm of a man who himself embodied all that the Old World could bring to the New:a name sonorous with history,immense knowledge,education, and natural chic. Her Royal Highness Sheika Mozah Bint Nasser Al Missned Jewellery style. Her Royal Highness Sheikha Mozah bint Nasser Al Missned (mother of Qatar's current Emir,Sheikh Tamim bin Hamad Al Tani)captures the essence of elegance though her wardrobe of designer silouettes and her fantastic jewellery collection.The chairperson of the Qatar Foundation for education ,science and community development plays a key role in spearheadind social reform,women empowerment, and education in Qatar and beyond the nation's borders. all while being impeccably dressed stylished.Wheither attending the royal duties or state visits,Sheikha Mozah makes major fashion moves in demure designs that coordinates with her signature hijab turban and jewellery..Her gravitation towards a saturated palette and creations featuring rich details that she elevtes with dazzling jewellery from the likes of DAVIDD WEBB,CARTIER,BUCCELLATI...solidifies her status as a style icon. 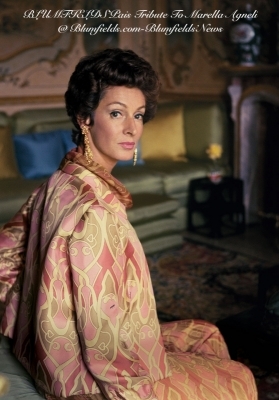 @BLUMFIELDS:THE GREVILLE CHANDELIER EARRINGS HISTORY. The Greville Chandelier earrings ,THE UNUSUAL earrings, which seem to have been intended to show as great a variety of modern diamond cuts as possible,were among the jewels bequeathed by Mrs Greville to Queen Elisabeth in 1942.According to Cartier ledgers,Mrs Greville ordered a pair of fancy-cut brillant drop earrings in december 1918, and in September 1922 Cartier supplied six marquise and six baton brillants to lengthen pair of earrings,entries which may refer to these pieces.In february 1929,Cartier supplied ten "assorted" diamonds,and the earrings were recorded in their present form. The earrings were among the wedding presents given by the King and Queen to Princess Elisabeth in 1947. 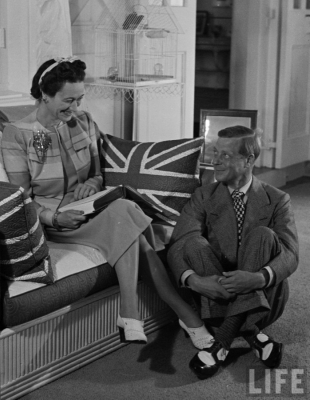 They were regularly worn by the Queen in the 1950s and 1960s, but have appeared less in recent years. Pearls are organic gems .The quality of pearls is juged by their oreint-the iridescence caused by the refraction of light in the layerof mother-of-pearl-and their luster,or surface shine. 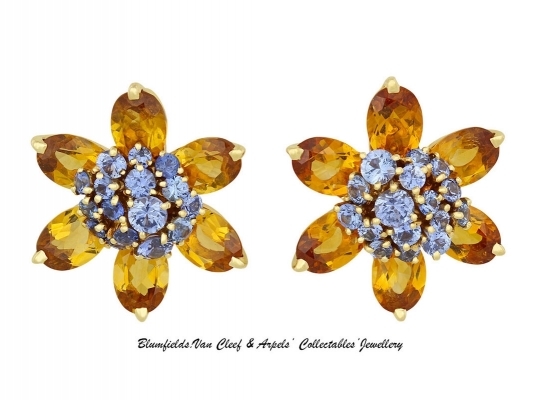 Blumfields has selected thos Van Cleef & Arpels earrings with fantastic shape and beautiful color. Pearls are symbolizing love ,success and happiness. 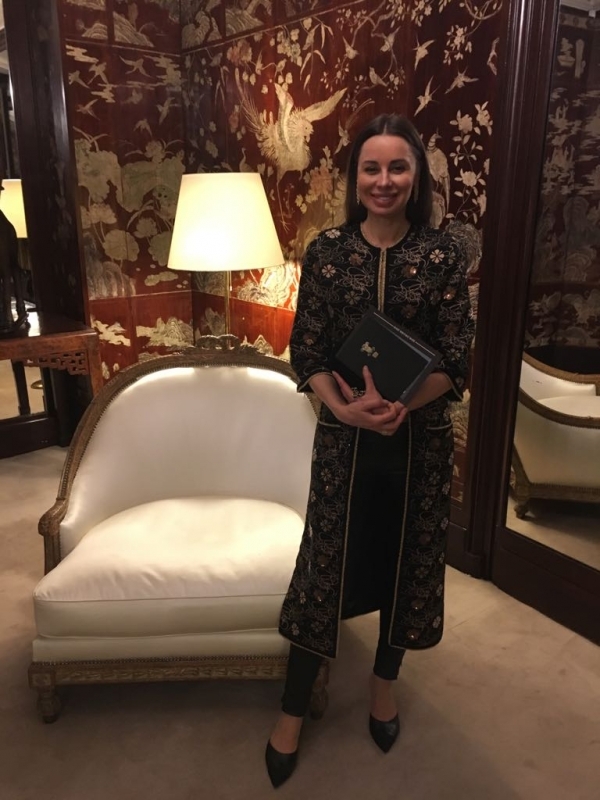 Last night,the Chanel 31 rue Cambon was transformed into a docking station for La Pausa, an enormous cruise liner that welcome on bord France de Malval 's guest for the Cruise 2019 show. 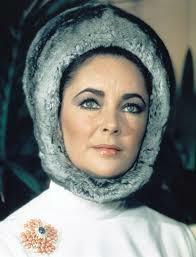 LADY BLUMFIELDS :THE BEST JEWELLERY AT THE CANNES FILM FESTIVAL THOUGH THE AGES. Since the beginning in 1946,Cannes Film Festival has been the stage on which the world's most spectacular jewelly is showcased. 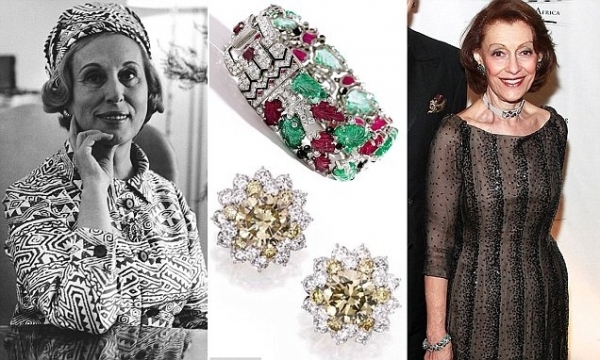 From the glamorous hight jewellery suites of the 1950s worn by Sophia Loren, Elisabeth Taylor and Brigitte Bardot, to Iman debuting the world's largest pear-shaped diamond in 2002 and Julia Roberts in a priceless Chopard emerald in 2016. Over the next 11 days the celebrities set to walk the red carpets may have been in intense preparations, but even the most hectic schedule can't compare to the work going on in certain hight jewellery ateliers over the last few months.Because the Cannes Film festival is an annual showcase not just for the best film talent, but for the world's most spectacular jewellery,with millions of Euros-worth of gemstones paraded up and down the Croisette every night. 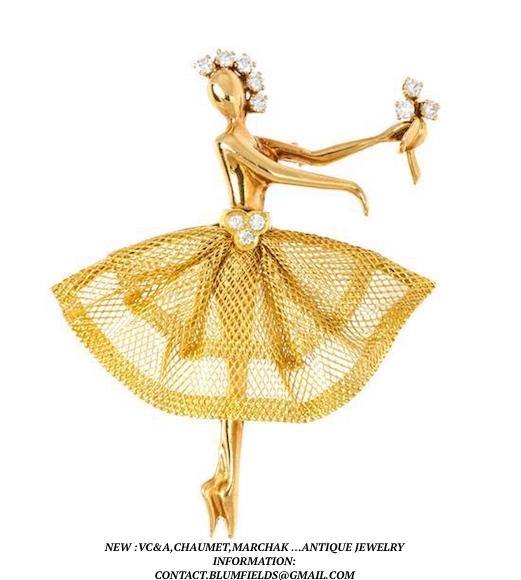 Over the decades,the delicate grace of ballerinas was exalted by the exquisite talent of he Maisons'crafmen,creating jewels that reflect the perfection,lightness and reverie of dance:a synthesis of rare formal beauty acclaimed and celebrated in this exhibit,while also emphasizing emotions. This is why Van Cleef & Arpels,Lacloche ballerinas are as light and ethereal as they are precious and unique ,exhibit dreamlike grace. They always seem as if they are about to take flight ,yet rein in their spritely tendencies to tell an enchanting tale:at once ballerinas, butterflies and fairies,they embody the allure of grace,and thus of beauty,eternal and incorruptible. @Boucheron Francoise Sagan shopping sprees were concentrated to a ten year period 1960 -1970.At that time francoise Quoirez, who had become Francoise Sagan Had already entered that spiral descent into drugs witch would finally ruin her and lead to her death aged 69, in 2004. 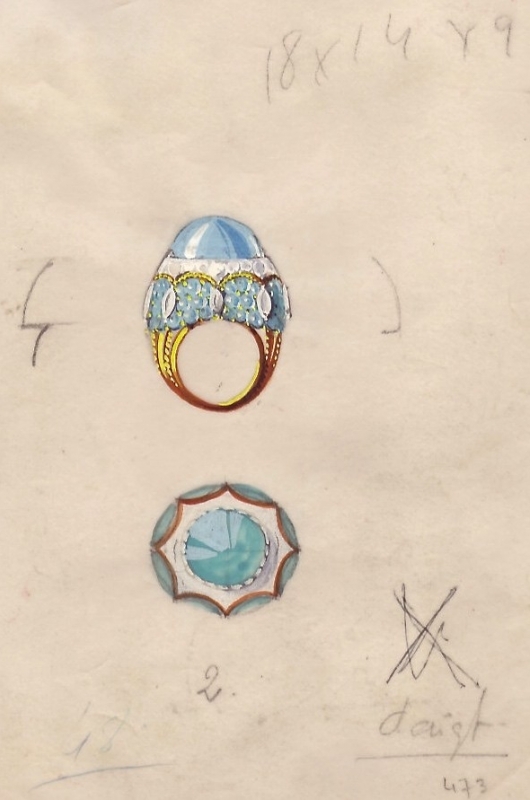 In any case her purchase at Boucheron showed her taste for reckless spending . She collected animal brooches in the shapes of foxes ,chicks,tortoises,birds rabbits .She bought key rings, almost on ayearly basis,which she gave away or lost,as well as a belt buckles and fountain pens .The strangest piece she bought was a backetry gold bracelet which she acquired on 24 december 1963,no doubt in order to give to close friend for Christmas.She asked Boucheron to engrave on the bracelet the following words:"Qui dit l abricot". 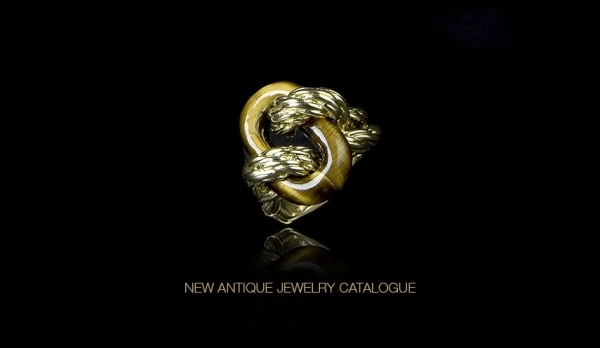 @BLUMFIELDS'SHOP 1960-1970 ANTIQUES COLLECTABLES'JEWELLERY. 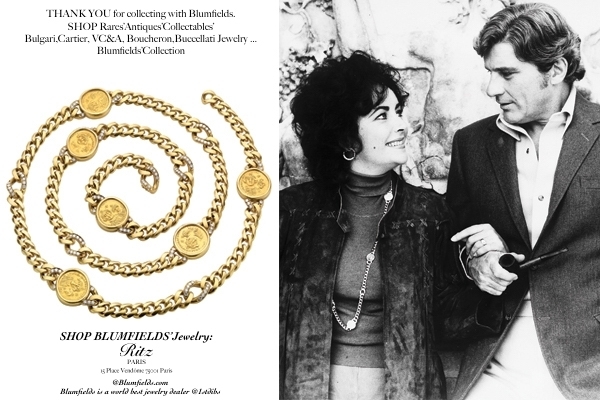 Blumfields :The best way to express yourself during the 1970s was though jewelry. 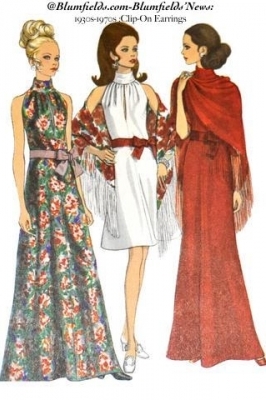 In the 1970's ,new influences from non-Western cultures opened up a ton of a new styles and options that had never been popular before.This spring,fashion and jewelry united in its open-armed embrace of the 1970s'. Even Blumfields have focused on different aspects of the decade.Chaumet, Van Cleef & Arpels, Cartier ,Boucheron ,Buccellati ,Blumfields'collectables' jewellery also hohain sautoirs hung with colors a distinctly 1970s flavour, Now in a modern mash-up of the convention-busting themes and inspirations of the day-from hippie luxe to rock'n'roll.This hippie-luxe, Talitha Getty or Bardot 's Style hedonistic glamour was a mainstream jewellery look of the day,beloved of Elisabeth Taylor and typified by van Cleef & Arpels' lustrously hefty gold colossal medallion pendants in a clash of hot gem colours .The enduring collection to emerge from this style was Chaumet Coral and Onyx ring, Van Cleef & Arpels' flowers' earrings and pendants ,Buccellati gold and silver bangles...which is surging again in popularity, espacially among fashionistas.CHAUMET, VAN CLEEF & ARPELS, BUCCELLATI and GRIMA jewellery ...@ Blumfields.com,Blumfields 'world best jewellery dealers @1stdibs.com and Privat showing & informations :contact.blumfields@gmail.com. 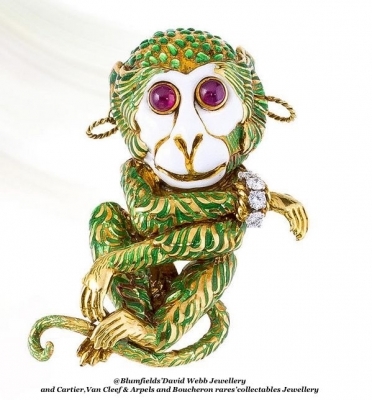 @Blumfields' Shop Andrew Grima Antiques'Collectables'Jewellery:"Andrew Grima changed the face of Jewellery "says Carol Woolton, British Vogue's Jewellery Editor. Andrew Grima is one of a handful of designers who revolutionized British jewellery in the early 1960s.Grima did not learn his trade at art school, being enterely self-taught and never trained at jeweller's bench. 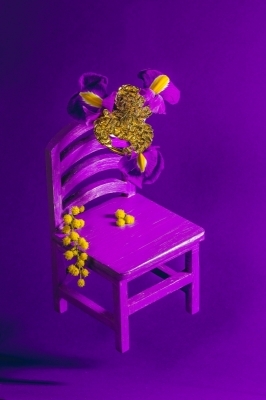 He considered being a pure designer to be in andvantage-His imaginative ideas were never confined by tachnicalities or ingrained concepts of what constituted fine jewellery.Grima s 'groundbreaking designs, which drew inspiration from art, scupture and the natural world, injected desperately needed originality scene in post-war BRITAIN. 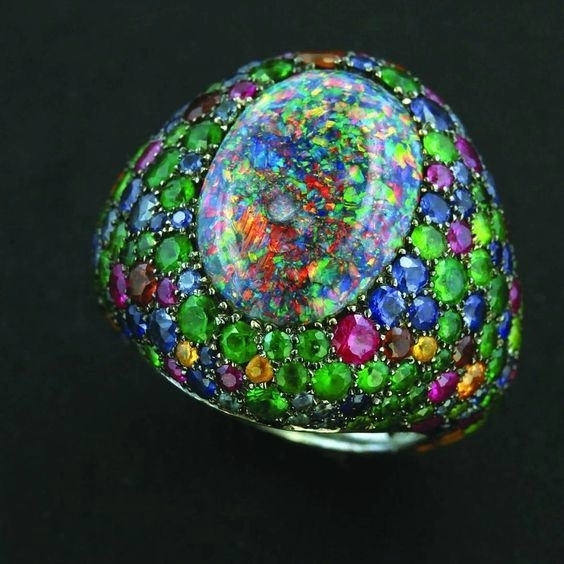 He created bold and unusual jewels whose value lay in their aesthetic composition rather than just in the carat weight of the expensive diamonds and precious gems. 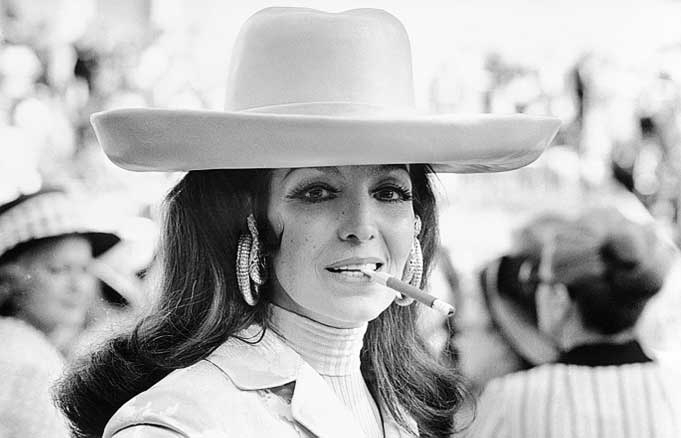 The 1960s saw the charismatic Anglo-Italian emerge as the go-to society jeweller for royals, celebrities,socialities and artists and his earliest clients included HM The QUEEN,Jacquie Kennedy,Bong Girl Ursula Andress. 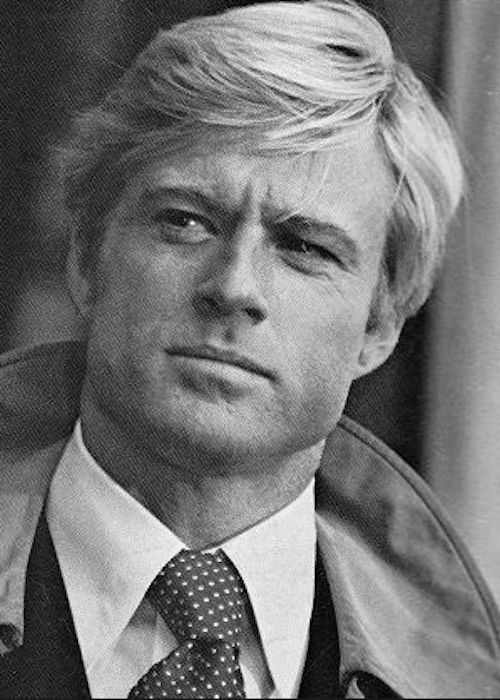 He won the De Beers Diamonds International Awared a record 12 times. Cigarettes cases, minaudiéres, lighters, and other precious objects in gold enriched in ornamental or precious stones,adorned with mother-of-pearl, lacquer,or transclucent enamel,sometimes enchanced with miniatures of Asian or Western inspiration,were presented for the first time in New York at the Cooper Hewitt Museum on the occasion of the exibition "Jazz Age :American Style in the 1920s". These precious objects ,whose craftsmanships was as important as their function,were specially designed for the first wave of "libertated" women in 1920:women who smoked ,enjoy going out,applied make up in public, and kept track of their numerous social engagements with a watch or a clock. 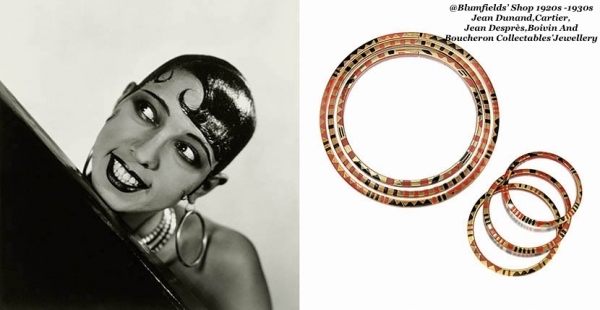 African Americans in paris during the 1920s gave The City of Lights it's groove.One of the great female voices among the musicians was Josephine baker. Her unique blend of singing , dancing and comedy made her a superstar in Europe . Ernest Hemingway described her as "the most sensational woman anyone ever saw.One of the most iconic image of the art decoperiod is of Josephine Baker . In 1929,the 23 years old posed nud for Vanity Fair photographer George Hoyningen-Huene.In the chiaroscuro lit,perfectly styled shot she holdsa swath of strategically placed fabric and a long stanf of pearols.her face is framed by bold hoop earrings and set of tree necklaces made by JEAN DUNAND that were inspired by African styles jewels .JEAN DUNAND who was a multi-talented designer and artist applide , around 1925, the patternsto jewellery.It is believed his first cuuf was made for Josephine Baker after the milliner Madame Agnes introduced him to the charismatic performer. Dunand did at least two variations on the Giraffe style jewellery in different colors lacquer .The pieces were covered by women of stylein the twenties . 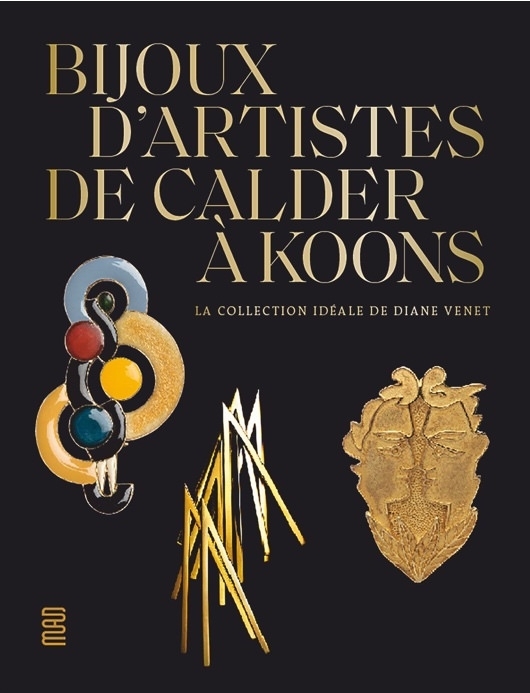 Today jewellery from Dunand's are in the Metropolitan Musean of art in New York ans the Musée des Art Décoratif in Paris...In fact , in this age Dunand 'sjewellery would fit right in anymillennials jewellery box. Blumfields'@ The Saut Hermès At The Grand Palais:The Spirit Of Elegance And Sport. While Paris prepares to host next month's FEI world cup final and the 2024 Olympic games,the greatest champions on the international equestrian scene went head-to-head on the 16th,17th and 18th march 2018 under glass roof of the Grand Palais in Paris .Blumfields was hosted to the ninth edition of the saut Hermes wich ,as it does every year,had been giving audiences an unforgettable equestrian show,featuring performances,by the greatest world champions,under Europe 's largest glass roof. 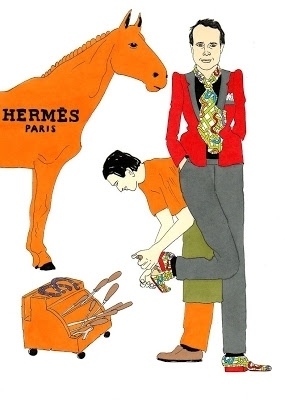 Hermès had chosen to support the FIDH . 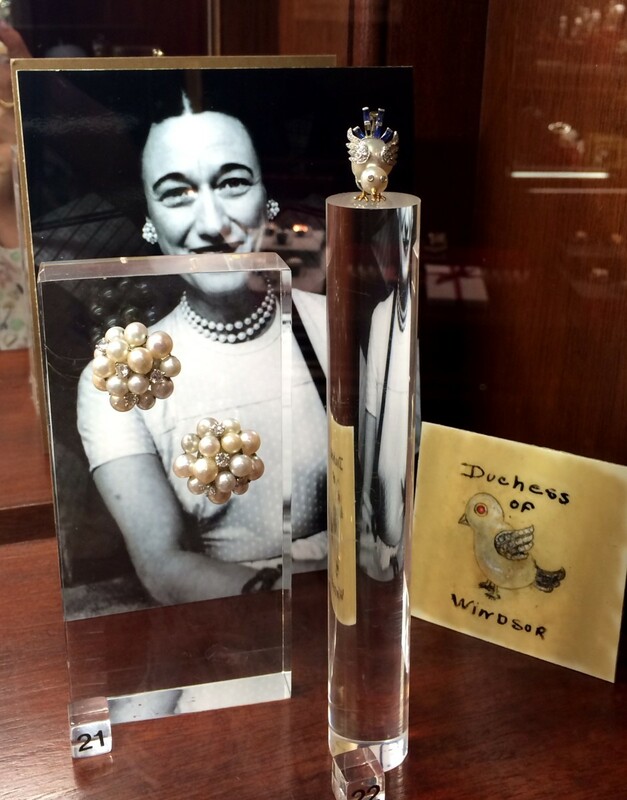 WHY DAVID WEBB JEWELRY STILL CAPTIVATES AFTER 70 YEARS. DAVID WEBB was born and raised in Asheville , North Carolina and began designing jewelry ata young age.He eventually apprenced at his uncle's factory and at 17 ,he moved to New York City corner from new york's Diamands'District .He craft his own jewelry design in his work shop,which caught the attention of elite department stores like Bergdorf Goodman.By the time he was 25 years old ,Vogue came calling.The magazine featured a pair od Webbs earrings on cover of their october issue .In addition, Diana Vreeland ,a noted columnist and editor of Harpers Bazaar and Vogue ,was often seen wearing a david Webb.Webb is possibly best reconised for his animal jewelry made of enamal. 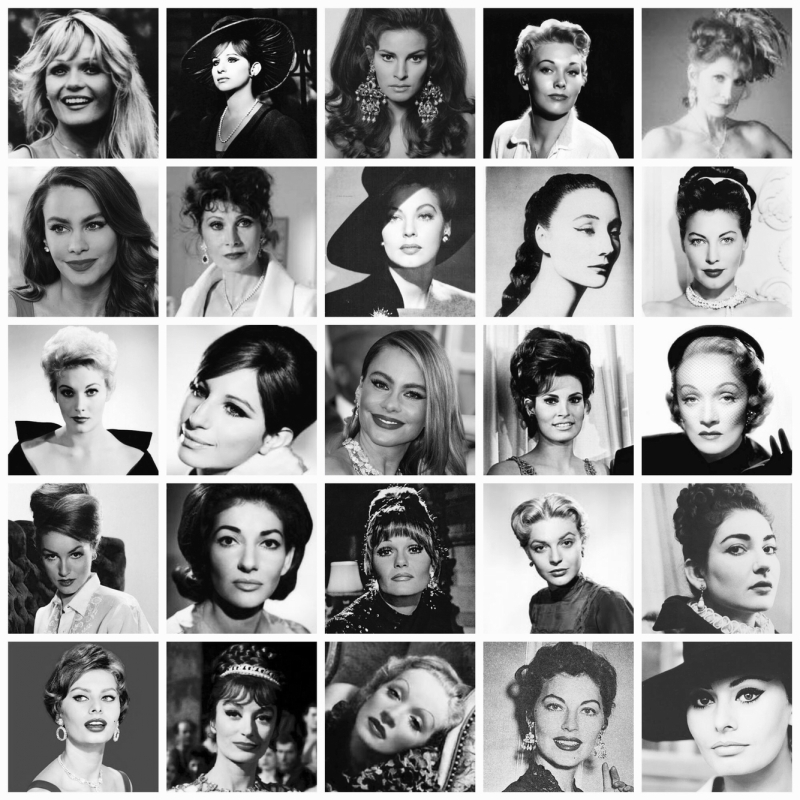 Clients included movies sirens , fashion icons and America's upper class.Elizabeth Taylor,Ava gardner, Barbara Streisand ,Jacquie Kennedy,Princesse Grace of Monaco and even generations of Vanderbilts and Rockefellers.More Recently ,Eva Mendez ,Jennifer Gardner, and Cameron Diaz wearing Webb's jewelry to hollywood parties'award shows,and Galas. From Calder to Koons and ranging from Max Ernst,Pablo Picasso and Nikki de Saint Phalle to César ,Takis and Louis Bourgois,a host modern and contemporary artists have taken a close interest in jewellery.Diane Venet, who has collected artist's jewellery for more than 30 years,is sharing her passion for these miniature artworks that often echo the artist's formal language.Her collection of some 230 pieces, complemented by exeptional loans from galleries ,collectors and artists' families,chronologically and thematically illustrates the work of 150 french and foreign artists. @Blumfields'Shop Seaman Schepps And Verdura Curb Link 18k Gold Bracelet. 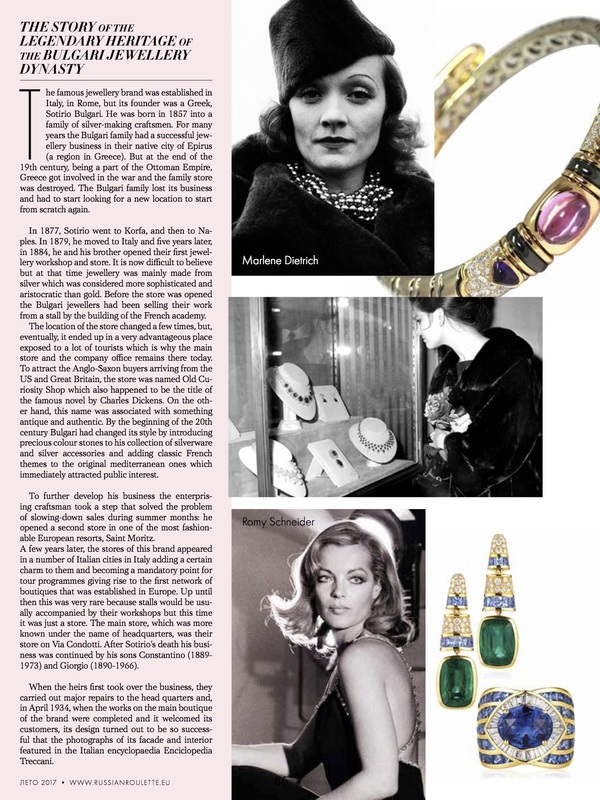 Katerine Hepurn as a feisty Philadelphia socialiste wore Verdura jewelry in the 1940 film version of the "Philadelphia Story";Joan Crowford and Marlene Dietrich were both Seaman Schepps and Verdura devotees,while a curb-link bracelet made for Greta Garbo became one of her lifelong treasure,often featured in portraits of the actress. Blumfields Present :Jean Schlumberger "I Want To Capture The Irregularities Of The Universe.I Observe Nature And Find Verve." 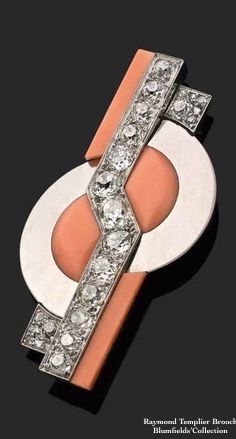 Jean Schlumberger began his career in 1930s creating buttons for Elsa Schiaparelli.In 1956 the president of Tiffany & Co.Walter Hoving,asked Schlumberger to begin designing for the firm.Shlumberger was especially inspired by sea creatures and other animals.Diana Vreeland wrote that Shlumberger "appreciates the miracle of jewels.For him, they are the way and means to the realization of his dreams" Schlumberger had an impressive client base that included the Duchess of Windsor, Babe Paley, Greta Garbo, Gloria Guinness, Gloria Vanderbilt, Elisabeth Taylor Lauren Bacal and Audrey Hepburn. 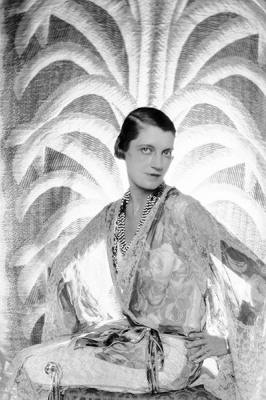 Daisy Fellowes lived an exraordinary life of opulent wealth and sophisticated glamour , herself a dazzling figure which her magnificient jewels reflect in spectacular fashion.Adoning her cutting-edge clothes designed by avant -garde fashion doyennes Elsa Schiaparelli and Chanel were her magnificent jewels . 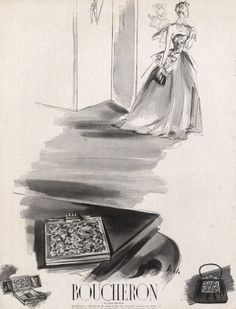 Passionate about fine jewels from early age , Daisy patronised the leading jewelers of her time :Cartier , Van Cleef & Arpels and Boivin.Daisy was so famous for her splendid jewelry that press reporters and fashion magazinezs would watch her like hawks to see with witch new jewellery. Without a doult, Daisy Fellowes collection of truly spectacular jewels must have been a source of great pride for the revolutionary fashion maven and avid jewelry collector , one wich a select few willever see inits entirety. 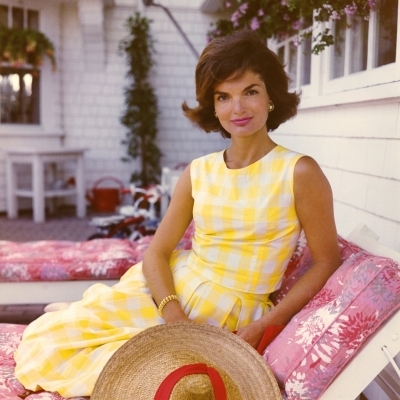 Jackie Kennedy wore one of Lily Pulitzer dress and a lot of jewellery and the look took off like zingo. BOUCHERON "VENDORAMA"PARIS JAN .12-28th EXIBITION . THE VENDORAMA is a series of images from Boucheron forming a view, a landscape,an overview from the flagship in PLACE VENDOME, PARIS. VENDORAMA is a new kind of exhibition.Find out how a piece of high jewelry is made,from seeking inspiration in the archives to bringing the final touches. 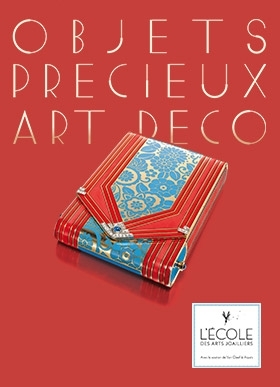 VAN CLEEF ARPELS' object , indeed ,odalisque bags, cigarettes' cases ,cigar cutters and lighters... also travels to the four corners of the globe, carrying the bouquet of elegance refinment à la francaise that has epitomized the spirit of the Van Cleef & arpels since its founding in 1906.A single creation embodies this subtle blend of boldness and virtuosity::the famous minaudiere that emerged from the workshops in Place vendome in 1933 Paris. 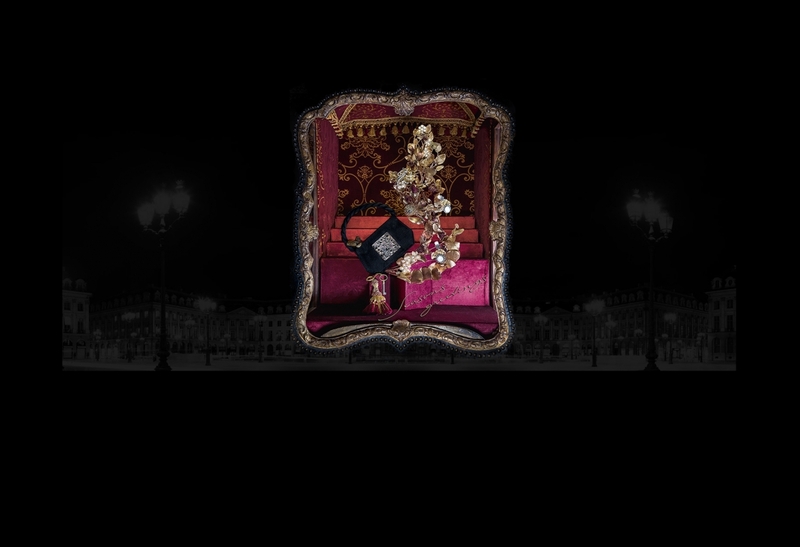 Blumfields pais tribute to the 22 january to 18 march 2018 Van Cleef & Arpels exibition Minaudiere exibition , 20 place Vendome,75001 Paris, by selling Van Cleef & Arpels , Buccellati minaudiere , Boucheron minaudiere or Mellerio Minaudiere. Also shop @1stdibs.com. @Blumfields Shop Van Cleef & Arpels Rares And Collectables'Jewelry Motifs Inspired By Nature. David Webb was an American Jeweler . 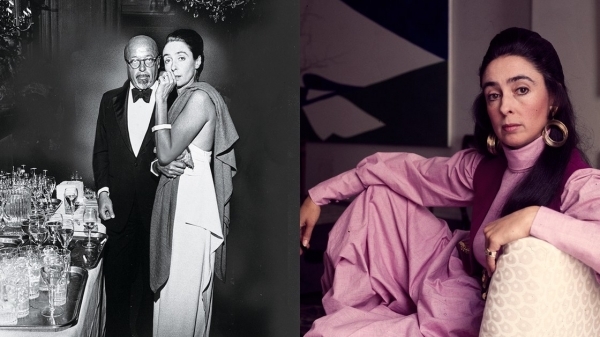 In the 1940s he founded David Webb company.Webb was a self-taught designer whose work included dragon bracelets,Maltese cross brooches and animal motifs .In the 1960s the Duke of Windsor purchased a bracelet and a ring for his wife .Diana Vreeland , a noted columnist and editor of Harpers'Bazaar and Vogue , was often seen with David Webb jewellery as jacky Kennedy ,barbara Streisand , Elisabeth Taylor,Beyoncé,and Jennifer Garner.Now shop David Webb collectables'jewellery @Blumfields.com or contact.blumfields@gmail.com. 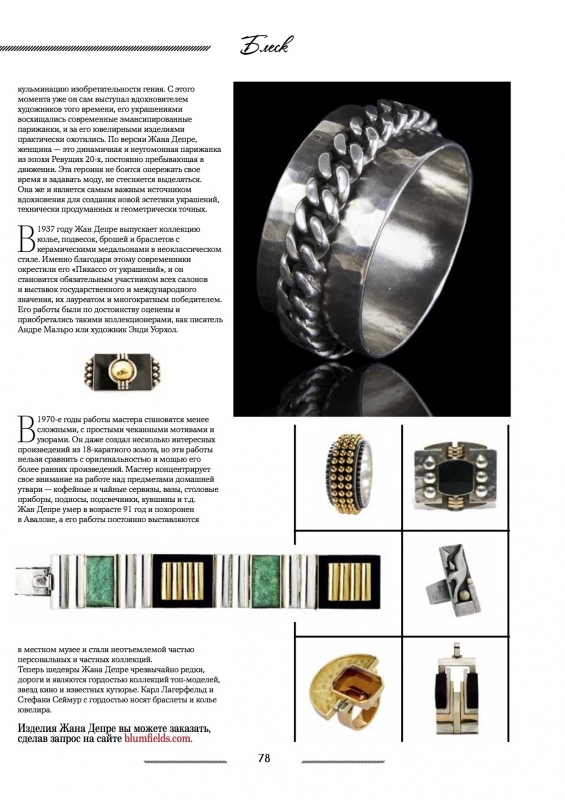 BLUMFIELDS COLLECTABLES' jewellery spoted by the RUSSIAN ROULETTE 's editor in chief MRS OLGA MAYR. 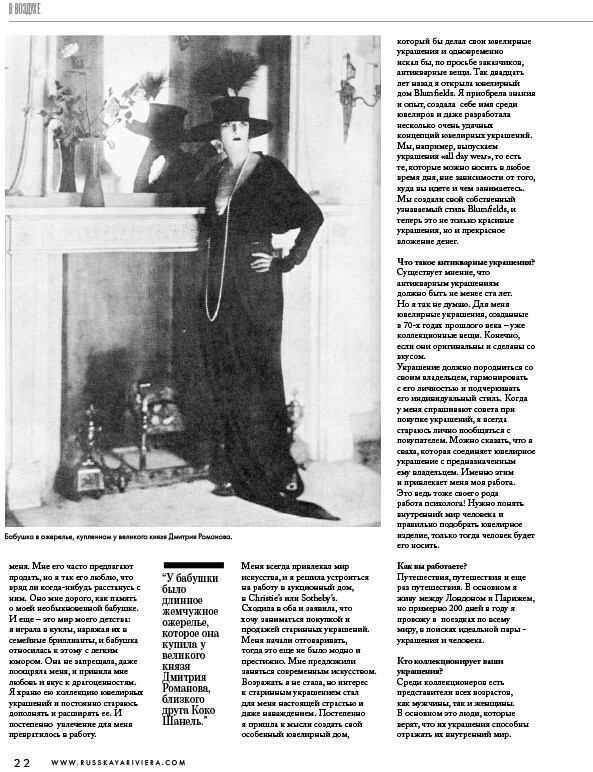 To be seen in the Plaza, the George 5 , London, Paris , Moscou....the most desirable magasine of the "Seasons ", the Russian Roulette , edited by Olga Mayr show her love of collectables' jewellery with a fantastic article on MARCHAK, the "RUSSIAN CARTIER" by the jounaliste .You can shop a rang of Marchak collectables' jewellery @Blumfields .For more informations:contact.blumfields@gmail.com. Because brooches are signifiers sais "BLUMFIELDS".More playful than a necklace, more sophisticated than a jaunty pair of earrings -you can have fun with then but remain chic.So copy Cara and attach a giant beetle to your shoulder, or pin a pineapple on your lapel like Alexa.Hell,if you are feeling exuberant,you could dapple your collar in jewels à la DAPHNE GUINNESS.But,more than anything else, brooches are terrific way of adding more diamonds to an oufit .And,that rarely a bad thing!!!! Van Cleef & Arpels earrings worn by Romy Shneider in the Film La Piscine . 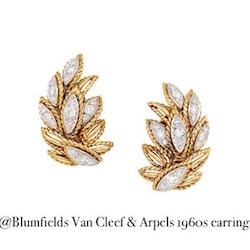 @Blumfields shop Van Cleef & Arpels 1960s diamond ,platinum and gold similar earrings . @ Blumfields shop a Van Cleef & Arpels pair of earrings in platinum,diamond and gold .A similar pair of earrings had been worn by Romy Scheider in La Piscine film in 1969 by Jacques Deray. 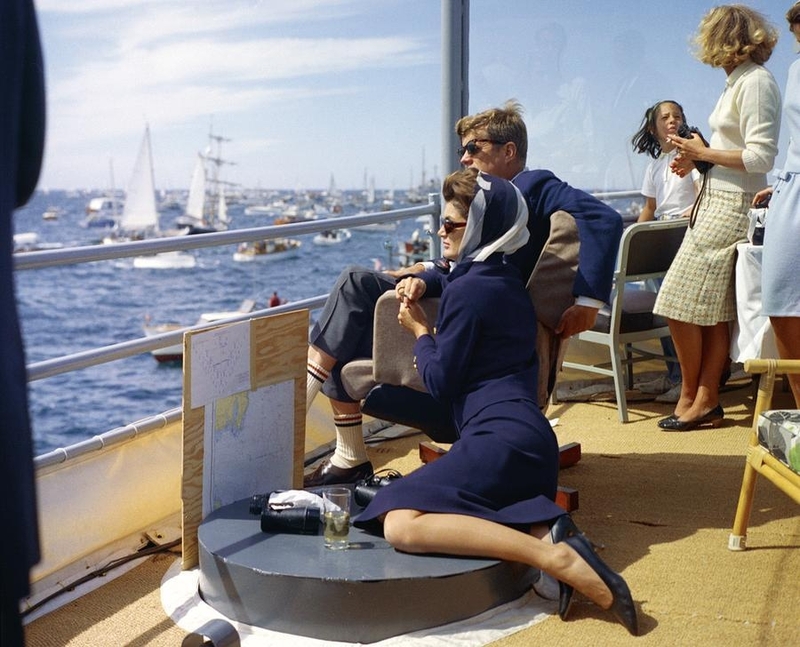 1956, Monaco's Grace Kelly wedding :There's an old chestnut about woman who walks into a casino crosses herselfs sais Lady Blumfields. She's really checking off her jewelry. 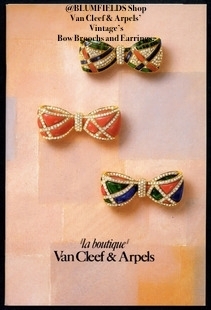 earrings, necklaces,clips ans bracelets..Van Cleef & Arpels, Boucheron and Winston... 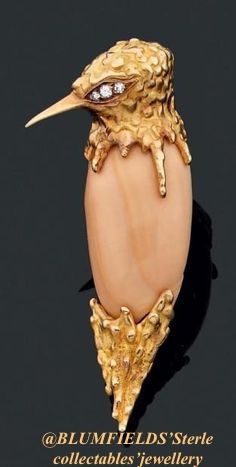 The most popular and modern accessory that year (1950s) were the Boucheron Birds of paradis Minaudieres . 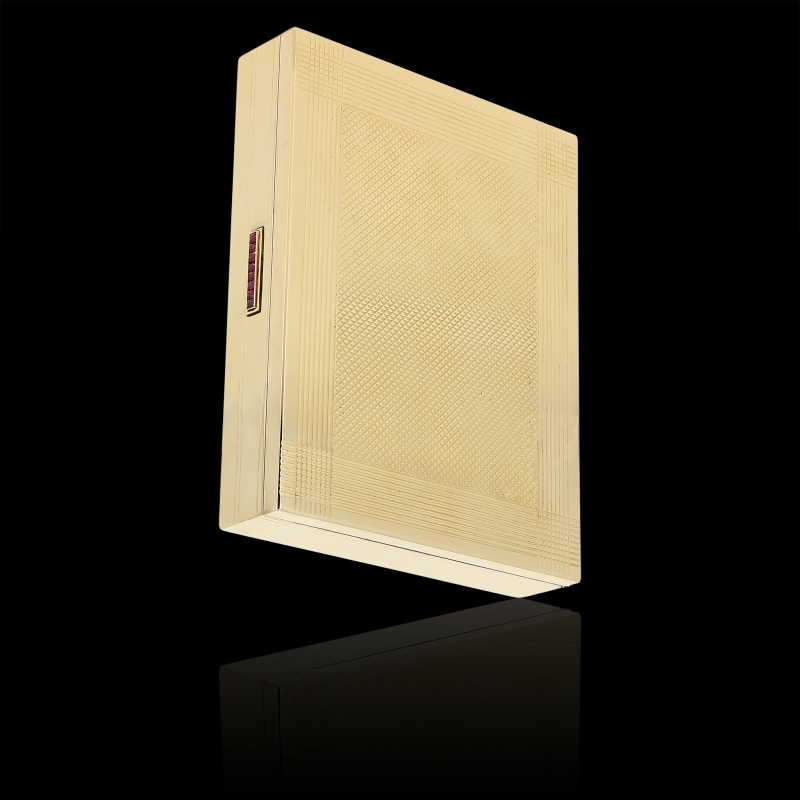 1950s'Boucheron Minaudiere Now For Sell at Blumfields . They came in silk carry all pochettes,cut out so the jewelled front could be seen. The pochette fabric matched you dress .It was the sac de soiree and everyone had to have one. Van Cleef & Arpels made numerous contributions to history of jewelry design, in 1930, a new type of accessory:the minaudiere .The fore-runner of the ladies compact.The minaudiere is a type of vanity cas.Constucted from gold and siver , it takesthe form of a box. 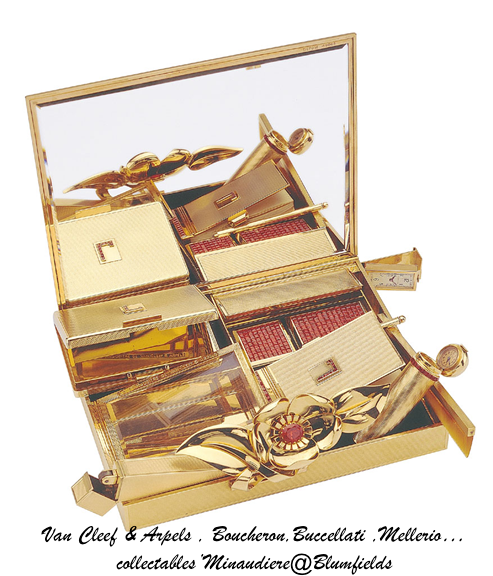 When open,it reveals various lady-like essentials :a comb, acase forlipstick a ligher, small compartmznts for cigarettes ,change and powder.The inspiration for the design came from a friend and client :Frances Gould,wife of American railroader Jay Gould.Gould apparently rushed to a meeting with Charles Arpels,tossing her necessities into Lucky Strike cigarette case.Arpels took the idea and it his own. He named it for his wife .The french werb minauder means,roughly ,to simper or smile coyly. MME Van Cleef's simpering was famous .The minaudiere was wildly popular for decades until now .Women carried then in custom-made, fabric pouches. BLUMFIELDS' Cartier, VC&A, Boucheron and DESPRES ...collectable jewellery in bold colors comes with its own rules for style. BLUMFIELDS help you navigate the fashion do's and dont's to make shure you re always on point when wearing bold red coral jewelry . Wondering whether or not you can pull off coral jewelry this season.BLUMFIELDS is answering,il will always be yes!!!!!!! !Statement jewelry can be worn in so many different ways , no matter what occasion .Coral Jewellery has long been hailed as one of the best shades for spring-summer fashion, but it is easy to include in your looks all year around whhether you are hitting a party, going out to lunch with friends , attending a job interview or just relaxing. 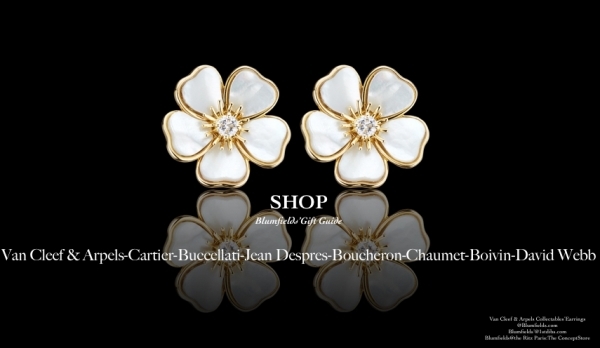 BLUMFIELDS'VC&A, CARTIER, BOUCHERON ....JEAN DESPRES coral jewellery have a place in your ensemble .Not convinced?Do not worry-help is here . Blumfields jewellery experts have loads of ideas that will tell you exactly how to wear very rare BLUMFIELDS'Coral collectable jewelry you can shop @BLUMFIELDS.COM/SIGNED ANTIQUE JEWELRY: -If you are not to confortable too much going add a chunky coral BLUMFIELDS collectable jewelry to an outfit,pick some patterned black and white trousers, then pair with plain top.Getting the right balance is key, so not be afraid to experiment. -The little black dress is one of the ultimate fashion staples.Unfortunately, that can leave it looking a little dull/predictable. A chuinky Blumfields'coral jewelry is a perfect way to add an elegant pop of color to your look,bringing your unique style to this timeless classic.Combine with coral shoes for an extra hit of color. -Wondering whether or not that denin is elegant enought for a party you are going to?With a Blumfields'Cartier, BOUCHERON or VC&A collectable jewellery, you can be shure it is.Pair with a plain tee and cardigan:it is a classic ,which means you can't go wrong. BLUMFIELDS pais tribute to the actrice Mireille Dark:A wonderfull human beeing , a great actrice and the icon of the 70's style .We will miss you. 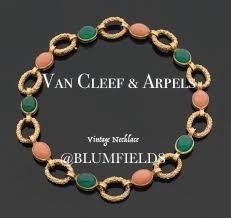 @BLUMFIELDS:TODAY'S STYLE WITH A COLLECTABLE VAN CLEEF & ARPELS SAUTOIR. 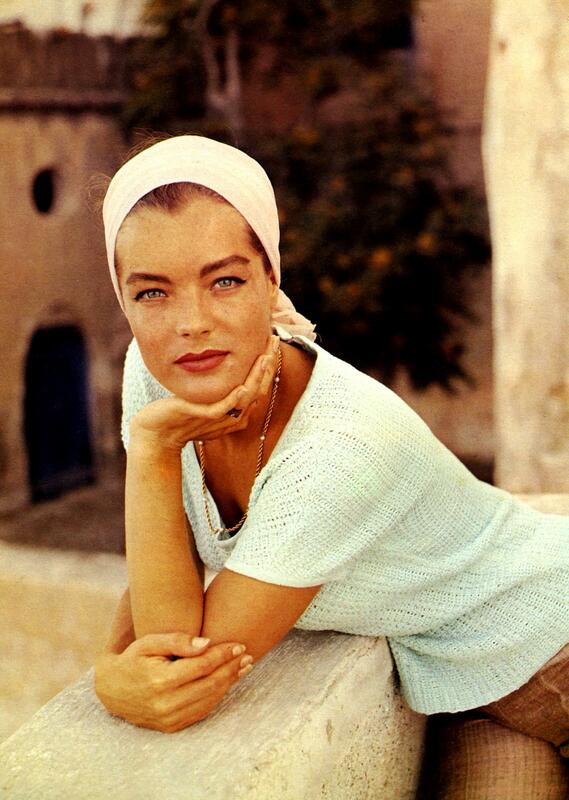 The Van Cleef & Arpels is normally associated with the 70's thanks to the actrice ROMY SCHNEIDER who created a style. Today,I suggest you wear your Van Cleef & Arpels sautoir enticingly with an unbutuned silk shirt to add an exquisite highlight on your daily style .Or, in the summer ,with a kaftan as Romy shneider. Colled "the CARTIER of Kiev then Russia, Marchak, a young talented jeweler in 1878 considered one of the great competitors of Fabergé at the begining of the last century .To comemrate the 300th anniversary of the romanov dynasty,Tsar NICOLAS II vas presented , with offical gift espacially made by MARCHAK.As great number of russians also leaving their counrty in haste to join Europe, The MARCHAK family also fled to paris , concealing the last remnants jewelry creations under their clothes .As soon as he arrived in Paris, MARCHAK open a Jawelry shop on the rue de la Paix nest to place Vendome an Ritz, where large number of wealth foreigner had flocker, ever since its opening in 1898. Staring in 1910,reptiles had a special place among Cartier fauna:the virtuoso jeweler brought their lithe, undulating bodies to life in many impressive necklaces and bracelets and earrings .Supreme expertise was required over months , or even years , to assemble the internal platinum structure of the most sumptuous pieces, such as the snake necklace of the most, such as the snake necklace of the Mexican actress , Maria Felix. 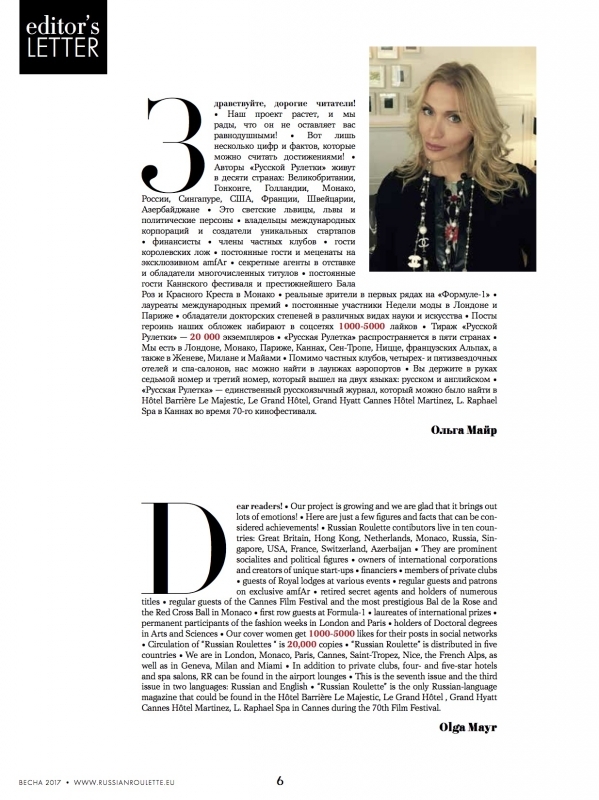 OLGA MAYR -editor in chief of RUSSIAN ROULETTE produced,one again, with glamour,serious and humour,the most atractive edition of the summer with gossips,news,and a wonderfull article about one of the most known jeweler of our time :Marina B with L.BLUMFIELDS COMMENTS AND JEWELRY FROM BLUMFIELDS 'COLLECTION. 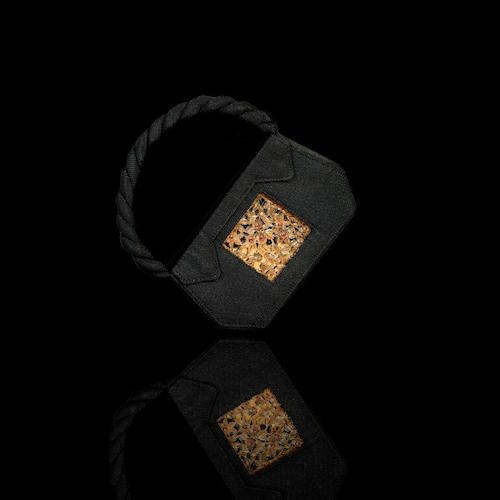 Blumfields' pais tribute to J-V Meyers, co-founder with Louis Leboiteux of "EXEMPLAIRE" , there shop, rue Saint Honoré in Paris , shows pefectly cut cashemires, leathers' goods , cigarette cases ... all made by hands in Paris .In "EXEMPLAIRE" you will find objets you can give to the next generation......with an atachment ...like antique jewelry. Princess HAYA is one of the most influential people in the Middle East -not just because she is the daughter of the late king of jordan and wife of the ruler of the Emirates, but because she is changing how women are perceived in a deeply patriaechal societe -Blumfields pays tribute to her elegance . Everyone who knows Mica Ertegun,from Henry Kissinger to the Rolling Stones worship her. With her husband ,music industry titan Ahmet Ertegun , she remains a philanthropic powerhouse,one of the most knows antique jewelry collector , a fashion icon and topflght interior designer. The AMERICA's cup J-CLASS RACING YACH in a class of it's own and making a comeback on Friday 16, Monday 19 and tuesday 20 June 2017 ,eitherside of the America's cup final WE .For Ronald De Wall , the owner of the Dutch Fashion Company and the owner the 1930's boats WALSHEDA said to Lady Blumfields :"Like antique jewelry, the appeal to me is being part of history, and of course sailing a J is a thilling experience. My personal passion sais DC AMIN JAFFER in RR is the superb commissions made by Cartier for Idian princes in the 20's 30's.This combine western settings with Indians gems . The pieces themselves reflect the cultural and aestectic dialogue betwen east and west. 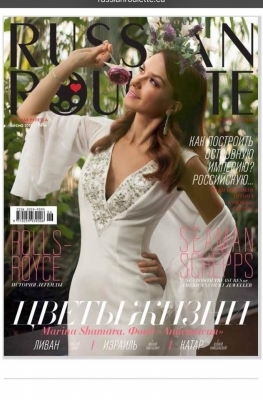 The very talented Editor in chief on Russian Roulette , Olga Mayr is presenting the new RR also in English!!!! 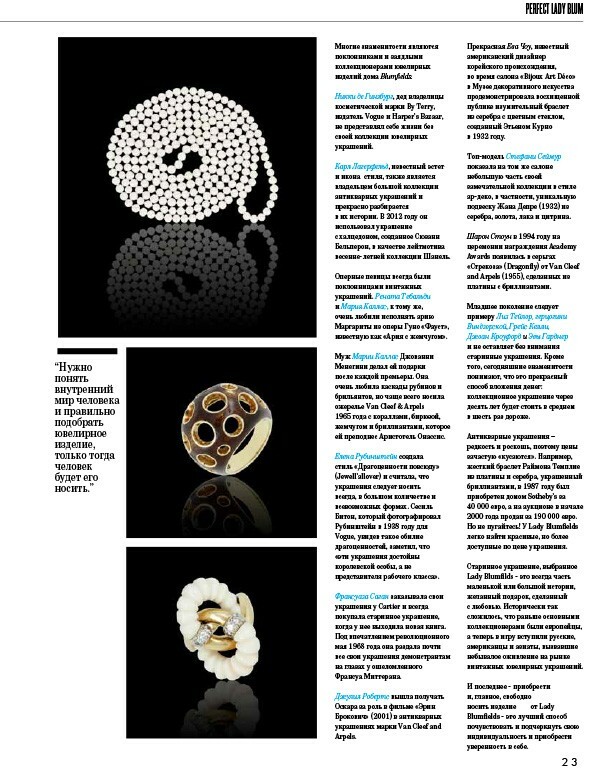 !Now for sell in paris, London, Monaco.... TSpecial thanks for the fantastic article on jewelry . The Prince of Wales had been the epitome of a Prince Charming.He grew up surrounded by historic and important work of art,which instilled in him a taste for beautiful objects, and in particular jewelry-a passion inherited from his mother ,Queen Mary. 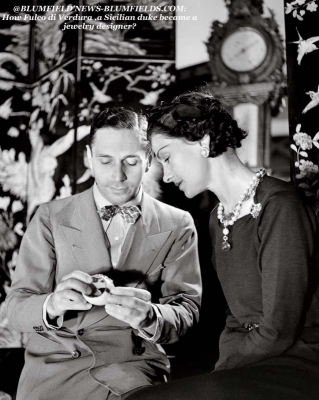 Many of the jewelry he commissioned for Wallis were based on his own ideas, and he spent many pleasurable hours with designers, offering his suggestions for extra-large brooch witch became Wallis style. Blumfields pais tribute to the MAHARAJA HOLKARE OF INDORE 's pasion for the art-deco jewelry in the 29 march-5 june ,Grand Palais exibition: "joyaux des grand Moghols aux Maharajahs". BLUMFIELDS AT THE" SAUT HERMES "
ALL THE PICTURES OF BLUMFIELDS AT THE "SAUT HERMES" ON INSTAGRAM.THE SPIRIT OF THE SAVOIR-FAIRE AND PAETNERSHIP. After the 30's,it took only a few decades for geometric shapes to come back into styleTrangles and spiral reappeared in the 1970's .Together with hard stones for dazzling clients. 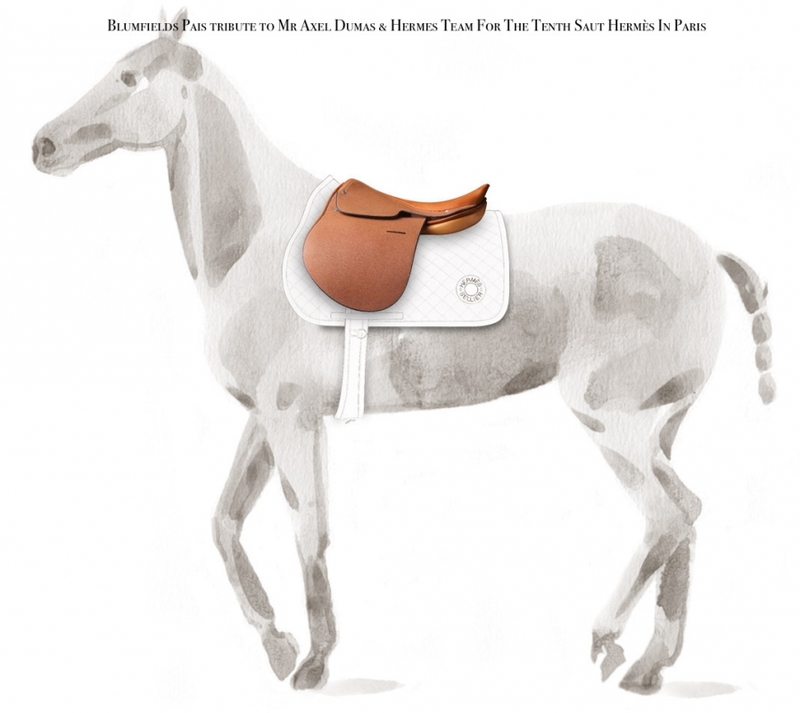 JEAN DESPRÈS-BRAQUE WAS HIS "BEST FRIEND"
Jean Desprès fut peut etre le créateur de bijoux le plus novateur des années 1920-1930, unorfevre qui , au temps de son apprentissage ,fréquenta le Bateau-Lavoirbet devint rapidement fasciné par le cubisme. JUDY PRICE" jewelry is an easy metaphor. 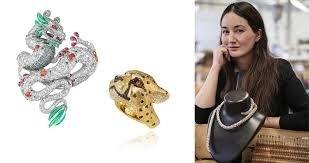 It explains a lot of things you can tell a lot about a man or woman from the jewelrythey wear says the founder of the national jewelry instititute . BUCCELLATI, CARTIER,BOUCHERON,VC&A...collectors'jewelry St Valentin jewelry catalogue on blumfields.com/signed antique jewelery. 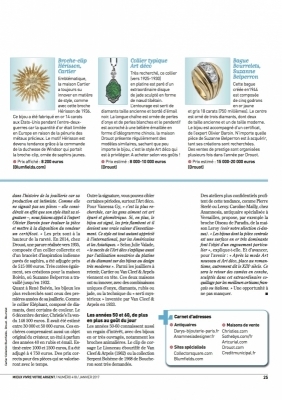 On january 2017 "Mieux vivre votre argent"magazine , the very known and talented jewelry specialist journalist KYRIA BINSINGER interview Blumfields'director:"Antique and signed jewelry selected by Blumfields is a contemporary seduction weapon and a "tangible asset". The jewelry cup and all the 70'S Chaumet, Boucheron,Cartier collector pieces on Blumfields.com/antique signed jewelry . I SO OFTEN FIND MYSELF LOOKING BACK IN TIME TO THE ICONIC JEWELERS OF THE LAST CENTURY TO FIND JEWELS THAT ARE IRRESISTABLE, WEARABLE,AND RELEVANT TO TODAYS'DYNAMIC WOMEN.JEWELS THAT POSSESS YOU AND CREATE LONGING.AT TAFFIN LIKE IN BLUMFIELDS'JEWELRY COLLECTION,DESIGN AND QUALITY,COLOR AND FORM,CREAT THE LONGING TO POSSESED AND BE POSSESSED BY A JEWEL. BUCCELLATI,CARTIER,VAN CLEEF & ARPELS,JEAN DESPRES ,BLUMFIELDS' MAGICAL SEASONS' SEEN BY THE PHOTOGRAPHER KSENIA USACHEVA. The very talented editor in chief OLGA MAYR show us how to select your jewelry as part as cultural heritage .With Jean Desprès -friend of PICASSO- you can wear /collect jewelry for museum!Jean Despres jewelry is part of the most know privat collection as The Brant /Seymour Fondation and exibit in museum col as Le Musé des arts décoratifs in Paris.For sall at Blumfields.com. AFTER A BREAKFAST AT TIFFANY'S, WEAR/BUY A 1930's TIFFANY'S JEWELS ON BLUMFIELS.COM/SIGNED ANTIQUE JEWELERY. Blumfields pays tribute to the elegance of AUDREY HEPBURN in Breakfast at TIFFANY'S with a 1930 ' Tiffany's pair of earrings in it's new signed , antique jewelry catalogue on Blumfields.com/signed antique jewelry. 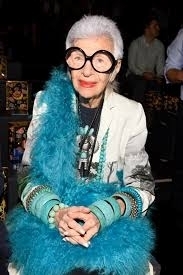 "FASHION FADES ,STYLE IS ETERNAL". 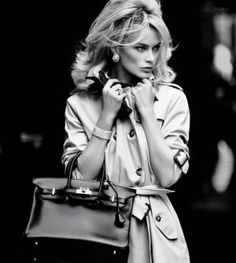 Like Chanel and DIANE VON FURSTENBERG icons of the 30's and the 70's.Creat your style with timeless signed jewelry it will be your signature says Lady Blumfields. The brotherhood's early doctrines, as defined by William Michael Rossetti, were expressed in four declarations: to have genuine ideas to express; to study Nature attentively, so as to know how to express them; to sympathise with what is direct and serious and heartfelt in previous art, to the exclusion of what is conventional and self-parading and learned by rote; and most indispensable of all, to produce thoroughly good pictures and statues. The principles were deliberately non-dogmatic, since the brotherhood wished to emphasise the personal responsibility of individual artists to determine their own ideas and methods of depiction. Influenced by Romanticism , the members thought freedom and responsibility were inseparable. Nevertheless, they were particularly fascinated by medieval culture, believing it to possess a spiritual and creative integrity that had been lost in later eras. The emphasis on medieval culture clashed with principles of realism which stress the independent observation of nature. In its early stages, the Pre-Raphaelite Brotherhood believed its two interests were consistent with one another, but in later years the movement divided and moved in two directions. The realists were led by Hunt and Millais, while the medievalists were led by Rossetti and his followers, Edward Burne-Jones and William Morris . The split was never absolute, since both factions believed that art was essentially spiritual in character, opposing their idealism to the materialist realism associated with Courbet and Impressionism . The Pre-Raphaelite Brotherhood was greatly influenced by nature and its members used great detail to show the natural world using bright and sharp focus techniques on a white canvas. In attempts to revive the brilliance of colour found in Quattrocento art, Hunt and Millais developed a technique of painting in thin glazes of pigment over a wet white ground in the hope that the colours would retain jewel-like transparency and clarity. Their emphasis on brilliance of colour was a reaction to the excessive use of bitumen by earlier British artists, such as Reynolds, David Wilkie and Benjamin Robert Haydon . Bitumen produces unstable areas of muddy darkness, an effect the Pre-Raphaelites despised. 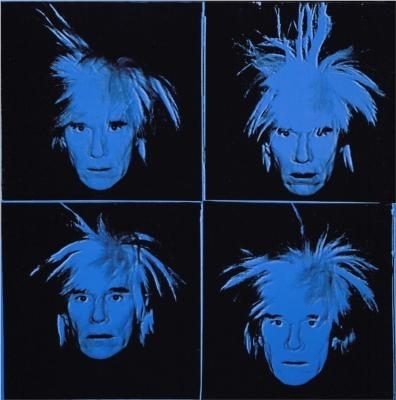 LIKE ANDY WARHOL :WEAR/COLLECT J.DESPRES AND BUCCELLATI.FOR ANY JEWELRY ADVISE :A BLUMFIELDS'NEW PERSONNEL SERVICE ON : CONTACT.BLUMFIELDS@GMAIL.COM. In 1908,LOUIS CARTIER,imploy CARLES JACQUEAU ant created the ART -DECO style jewelry.The art-deco jewelry style remains CARTIER icon's pieces. 1930, Art -Deco collector Cartier collector jewelry on Blumfields.com/signed antique jewelry. The marvellous thing about these earrings is how they manage to be sombre , but also daring, playful and elegant.That 's quite the package.They will update even the most old/faithful of frocks with their sheer , linear nowness.The only rule is don't wear a necklace.It will just neutralise the fashion-ness of these little weapons. 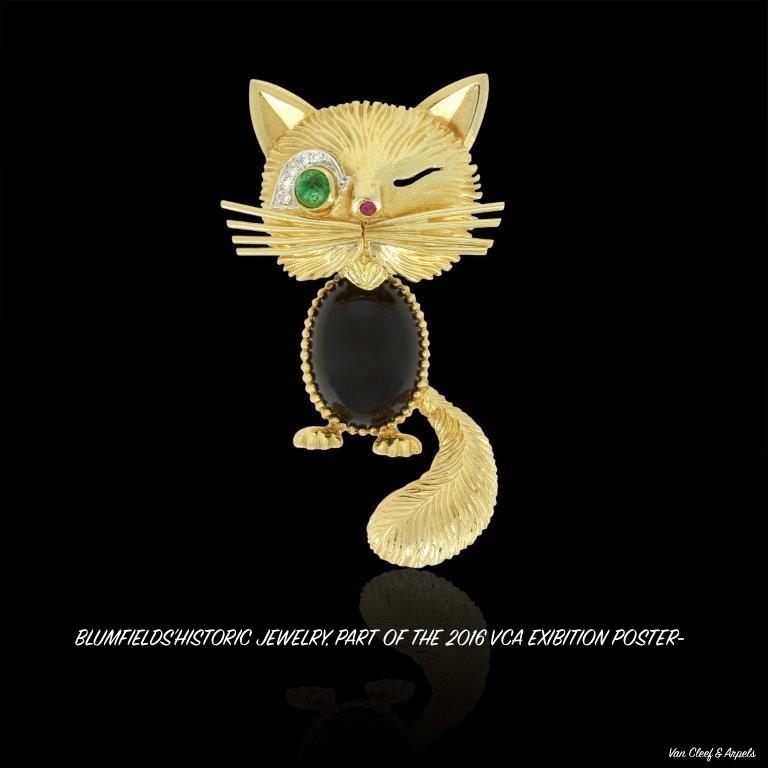 EXIBITION POSTER -PARIS -SEPTEMBER 2016 -"L'ARCHE DE NOE RACONTEE PAR VAN CLEEF & ARPELS"
VAN CLEEF & ARPELS introduced ROBERT WILSON, American set designer to present VAN CLEEF & ARPELS new and historic collection.In his vision of the ark,Robert Wilson creates a dreamlike travel thought a positive and timeless interpretation of the Noah's Ark, evoking first of all a preserved paradise. THE ARTISTIC DIRECTOR OF HERMES ,PIERRE ALEXIS DUMAS AND LADY BLUMFIELDS ON THE MEANING OF "LUXURY"
"We must know the past but live in the present and look to the futur...Some items last 100 years , while others do not survive two years. 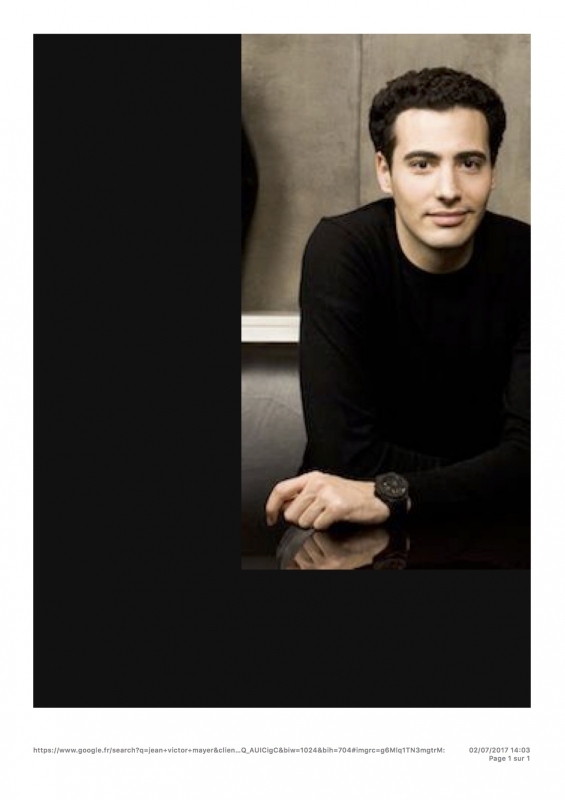 "PIERRE ALEXIS DUMAS ,ARTISTIC DIRECTOR OF HERMES . The same meaning of luxury as Lady Blumfields. LIKE STEPHANIE SEYMOUR BRANT COLLECT JEAN DEPRES JEWELRY : THE "PICASSO OF JEWELRY WORK"
ON BLUMFIELDS.COM A-DREAM THE FAVORIT LUCREZIA BUCCELLATI 'S BRACELETS EPITOMISES THE ICONIC QUALITIES OF BUCCELLATI IN A SINGEL OBJECT.NOW IN THE BLUMFIELDS 'COLLECTION LADY BLUMFIELDS' TIP :TO BE WORN WITH OTHERS LIKE LUCREZIA B .OR WITH AN ART DECO PENDANT 'S CARTIER "CHARDON "ON BLUMFIELDS'.COM/ANTIQUE JEWELRY CATALOGUE. 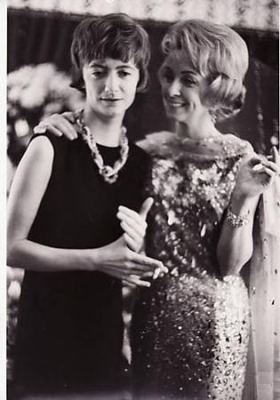 OLGA MAYR,nicknamed BLUMFIELDS 'jewelry collection ,"the wold court jewelry".One has to see the list of former and current clients and the quality of the Blumfields collection to understand how its nickname deserved.BOIVIN, LALIQUE, CARTIER,MARINA B, BOUCHERON, VAN CLEEF& ARPELDS . B, for Bulgari.Marina Bulgari, daughter of Constantino Bulgari and granddaughter of Sotirio Bulgari, displayed talent for jewelry design at a young age and was recruited by her father to pursue a career in design.Following the death of her father, Marina spent several years managing and designing for Bulgari alongside her cousins. 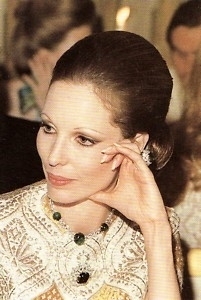 Il 1978 Marina parted ways with Bulgari and lauched her own jewelry company, naming it simply "marina B".Predictably, many of the Marina .b's own designs bear a stricking resemblance to those she created for Bulgari, with a use of bold graphic designs, vibrant colors,and bright yellow gold. SEAMAN SCHEPPS "THE AMERICAN COURT JEWELER"
Seaman Schepps was inspired admiration turned into decoration,quite reminiscent of jewels by his idol -aristocrats from the cost of Sicily.How ever Scepps brought his own vision in jewelry design. 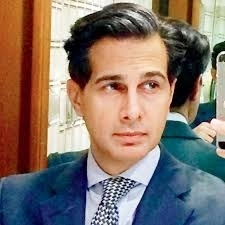 American nicknamed Schepps "the american court jewelrer".One has only to look the list of former and current clients to understand how his nickname deseved. 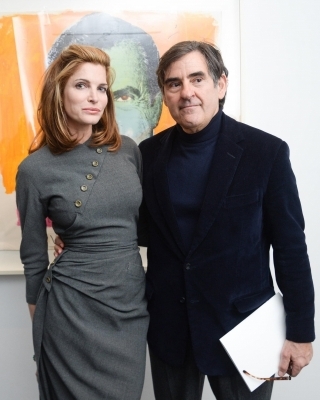 Among.Among his admirers nice family.Dupont and Rockefellers, Andy Warhol, Coco Chanel, Duchess Of Windsor, Queen Maxima. The Marina B. exangable earrings to play with jewelry. 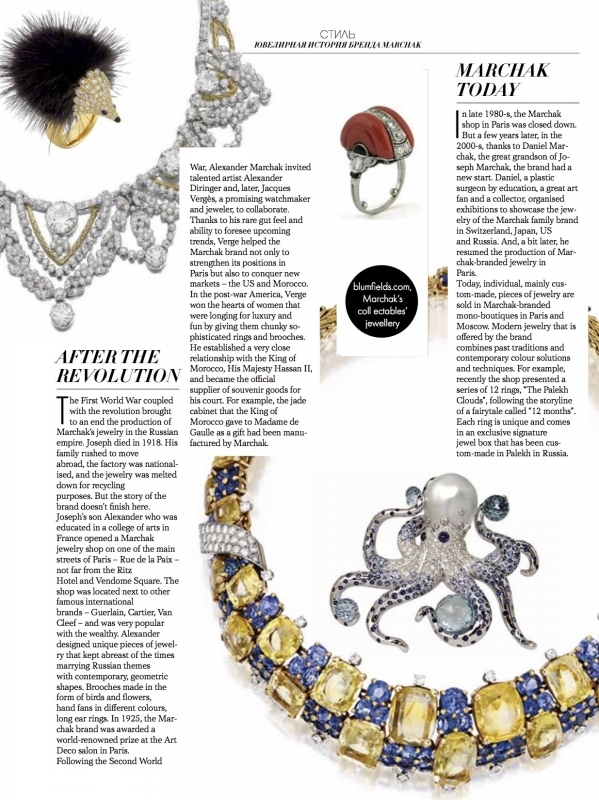 BOIVIN, RENÉ LALIQUE,CARTIER ...BLUMFIELDS' COLLECTOR JEWELRY EXPLAINED BY OLGA MAYR , EDITOR IN CHIEF OF RUSSIAN ROULETTE IN THE NEXT EDITION -FOR SELL NOW. THE ANTIQUE JEWELRY'S CHOICE OF OLGA MAYR , EDITOR IN CHIEF OF RUSSIAN ROULETTE -FOR SALE IN ALL THE DEPARTEMENT STORE IN MAY . 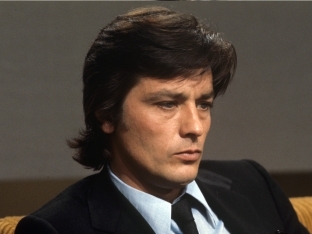 BLUMFIELDS PAYS TRIBUTE TO BERNARD BOUTET DE MONVEL . 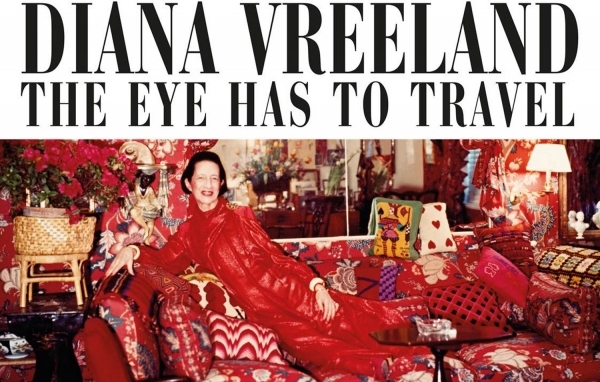 The legendary VOGUE editor Diana Vreeland once vrote "have I ever showed you my little Blackmoor heads from CARTIER with their enameled turbans?" 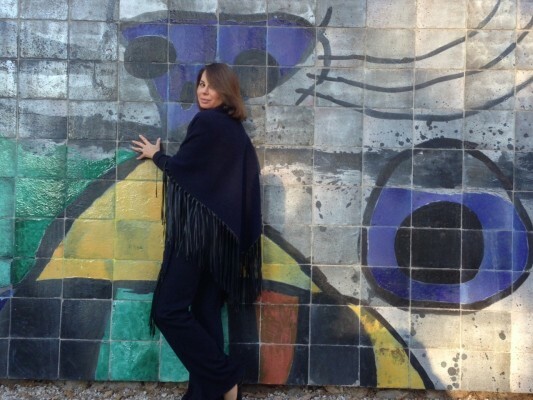 "I am reviving the fashion! Vogue 1936 -The first Rawlings' photo :a brooch from Cartier now for sell on www.blumfields.com/signed antique jewelry. 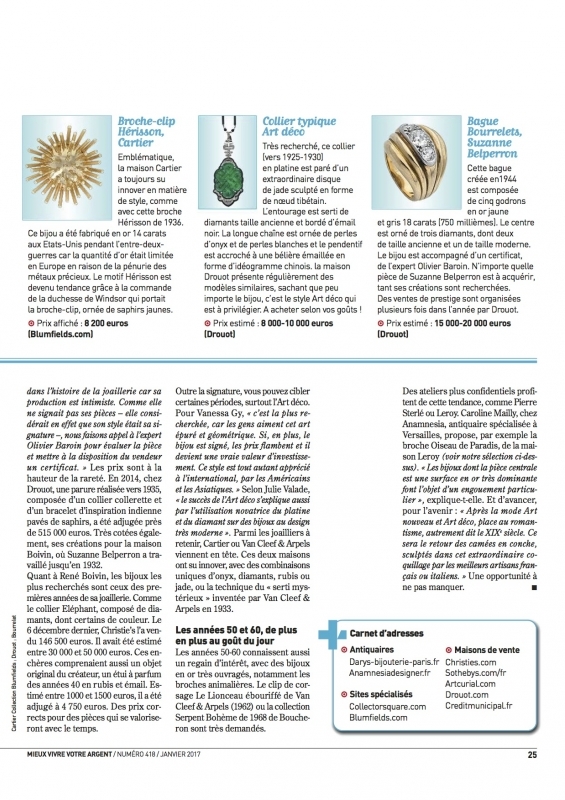 11 MARCH 2016 -FRENCH ELLE MAGASINE "ALL CREASY ABOUT ANTIQUE JEWELRY"! 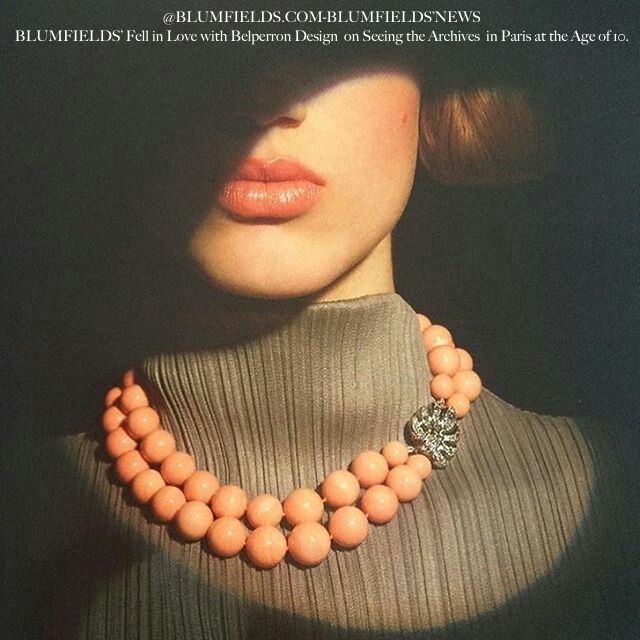 LIKE IN ELLE MAGASINE ,FROM KARL LAGERFELD TO FRANCESCA SOZZANI AND JOHN SHOW .....BLUMFIELDS IS PAYING TRIBUTE TO THE BEAUTY OF AND THE CREATIVITY OF THE JEWELRY AT ALL AGES. 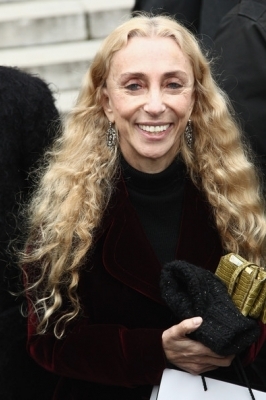 This is the wonderful trend Hunter, Elisabeth Leriche, who signs the new Chaumet exhibition around the feeling. 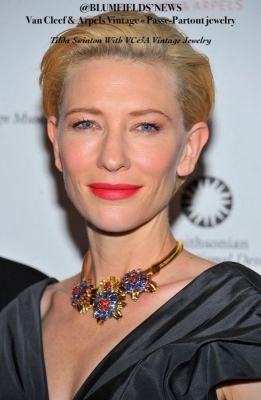 New Chaumet exibition with antique and historical jewelry, pictures of celebrities and jewelry in limited editions. 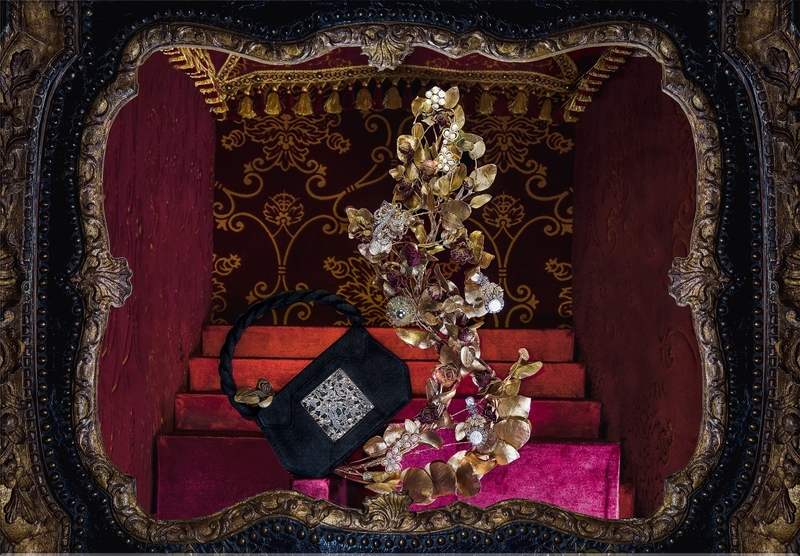 12 place Vendome,Paris until the 24 th september. At the question from FRENCH ELLE MAGAZINE:Is it better to invest in clothes or accesories ;IRIS APFEL answers:JEWELRY HAS THE BIGGEST POWER OF TRANSFORMATION. 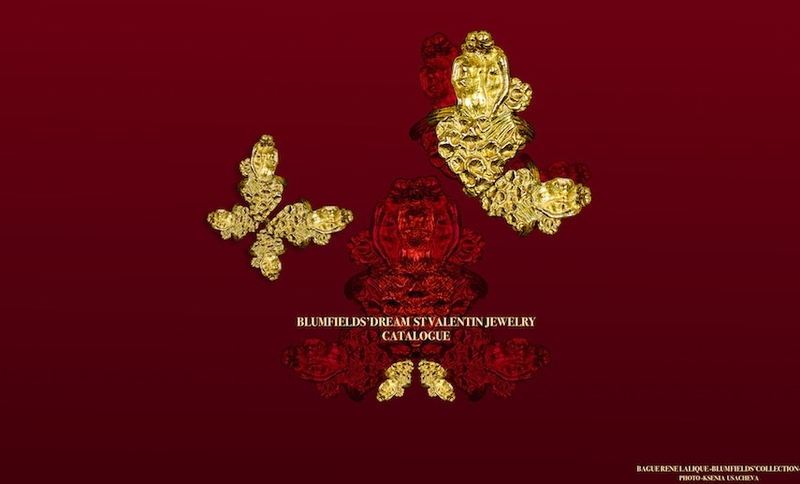 Inspired by LINE VAUTRIN , the very talented photographer KSENI USACHEVA created a very unique "surealiste" BLUMFIELDS' cover jewelery catalogue.Soon on www.blumfields.com/signed antique jewelry. To words,Line Vautrin added symbols to create riddles ;some discrete and decorative message of love.A part from love , LINE VAUTRIN explored various thems such as life, happiness and nature...-under numerous shapes. To wear LINE VAUTIN 'S JEWELRY it is rather like being part of the Calder jewellery club that began in 1940s . 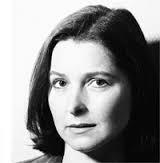 LOUISA GUINESS sais on LINE VAUTRIN'S JEWELS :"peaple look at your jewelry , give aknowing look and say nothing..."even thought these pieces are all precious and gorgeous, I fell said also LOUISA GUINNESS, I can wolk the street ,The mirrored disc may clint in the light but not like a diamond. "The secret club can walk the street!!! Drawing inspiration from nature and daring enought to use the female body as an ornamental component,René Lalique created some of the most representative jewels of the Art Nouveau style.Initially,his avant -garde jewellery attracted a principally intellectual and artistic elite ,who disregarded convention,capable of appreciating the beauty of an object in spite of the relative povrety of the materials employed .Among his famous clients the actress, Sarah Bernhardt, and ,the oil magnate , calouste Gulbenkian. Appreciated from the end of the 19th century, Tiger's eye is specially used from the 1960s, cabochons and perles (Cartier,Van Cleef & Arpels, Chaumet, Sterlé). In 1970, at the request of Jackie Onassis, Kennet Jay Lane achieves his mythical necklace with this gem. I n 1982, Marina B wants to reverse the trend and takes a decoration from the Bulgari’s house, the currency pattern. It is a best seller, its name is Dracme. To meet the demand Marina B strike coins in silver with a Sun.Soon for sell on www.blumfields.com/signed antique jewelry. 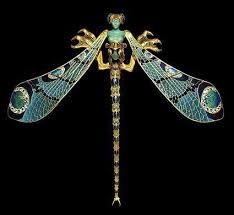 BETWEEN 1920 AND 1935 .Cartier's workshop in London and Paris remounted the fabulous gems belonging to the indian princes in a pure Art deco style. 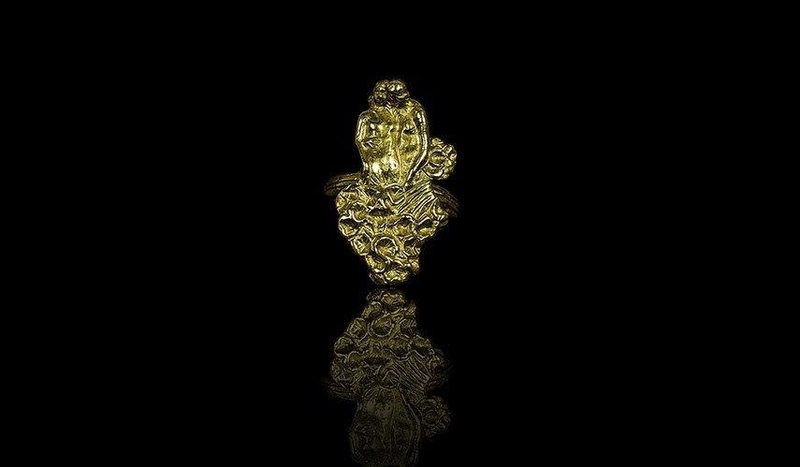 In return , the jeweler borrowed fromI ndia's traditionl stones , engraved with flowers and leaves.They appeared in form of bracelets, necklaces,brooches and earrings . They would give rise to what would be known as the "Tutti Frutti" style.Clientes were enchanted , including hightly influential ones as such W.K.VANDERBILT ,MRS DAISY FELLOWES AND MRS COLE PORTER. THE MOST WELL KNOWN AND AUDACIOUSLY DESIGNED OF THE JEWELRY BOIVIN WERE PRODUCED DURING THE 1930 S AND 1940 S WHEN THE FIRM WAS RUN BY RENE BOIVIN WIDOW , JEANNE BOIVIN AND EMPLOYED THE DESIGN TALENTS OF THREE REMARKABLE WOMEN :SUZANNE BELPERON ,JULIETTEMOUTARDE AND JEANNE 'S OWN DAUGHTER , GERMAINE BOIVIN.TO BE SEEN ON THE NEXT BLUMFIELDS' SELECTION. 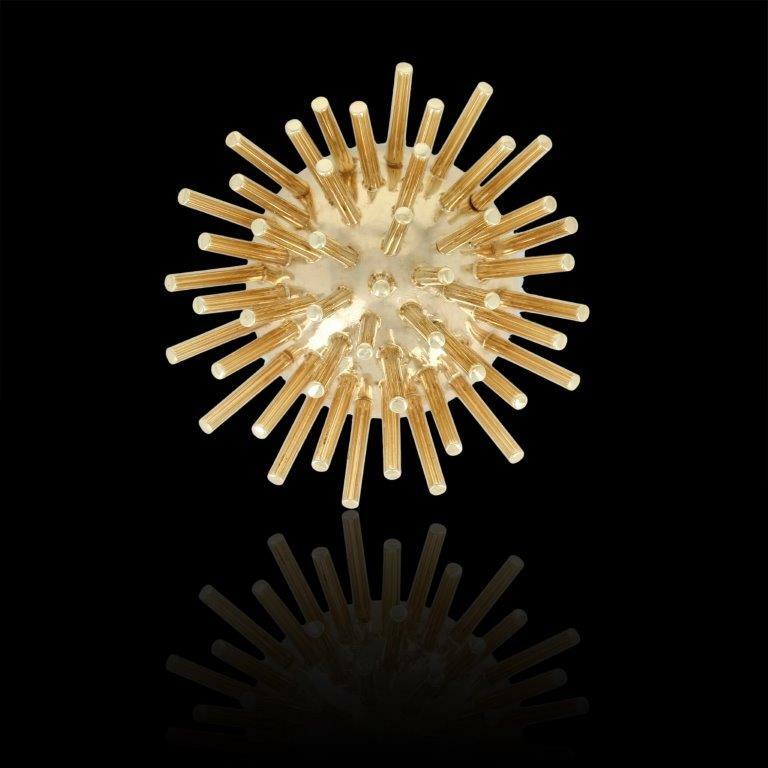 Great enthusiasm for brooch "at the extremes":either 70's, as a pendant or "1900" :on clothing with a long string of pearls +rings in "all over"
1939, Louis, Fred and Gerard BOUCHERON participate in the universal exposition in New -York.On this occasion the BOUCHERON brooch are all the rage with rich americain. In particular two models:one diamond, platinum and gold ,and the other in diamonds , topaz and gold.............sais the OFFICIEL magasine in mai 1939.SEPTEMBER 2015 celebrate "the return to nature", "the fragility of flowers"created by BOUCHERON : www.blumfields.com/blumfields'news, and www.blumfields.com/signed antique jewelry. 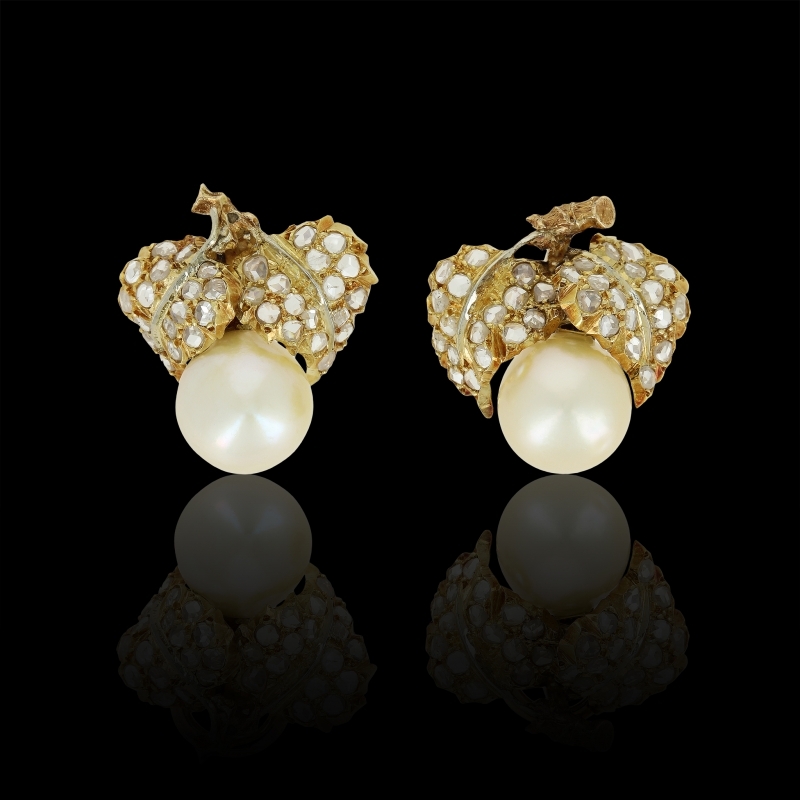 OLGA FRIDMAN HAD BEEN WINNING THE FIRST LOT OR THE RIVIERA RUSSE PARTY ORGENISED BY OLGA MAYR :A BUCCELLATI PAIR OF EARRINGS FROM THE BLUMFIELDS' COLLECTION. 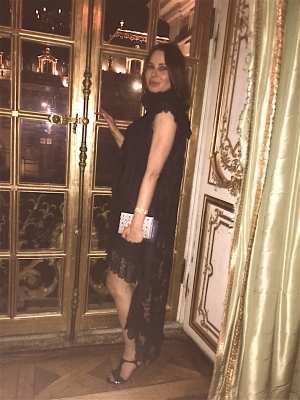 ORGENISED IN MONACO BY MME OLGA MAYR , EDITOR IN CHIEF OF THE RUSSIAN ROULETTE MAGAZINE AND OPERA GALLERY, ONE OF THE MOST FANTASTIQUE SUMMER PARTY OF THE MONTE -CARLO RUSSIAN YEAR WAS SPONSORED BY BLUMFIELDS'. BLUMFIELDS HAD THE PLEASURE TO GIVE TO MRS OLGA FRIDMAN THE FIRST PRICE :AN ANTIQUE AND VINTAGE PAIR OF EARRINGS IN GOLD, DIAMONDS AND PEARLS SIGNED BUCCELLATI . On www.blumfields.com ,Blumfields pays tribute to Francesca Sozzani editor in chief of the Italian vogue since 1988 for her all daywear antique jewelry collection: It embodies the absolute refinement. 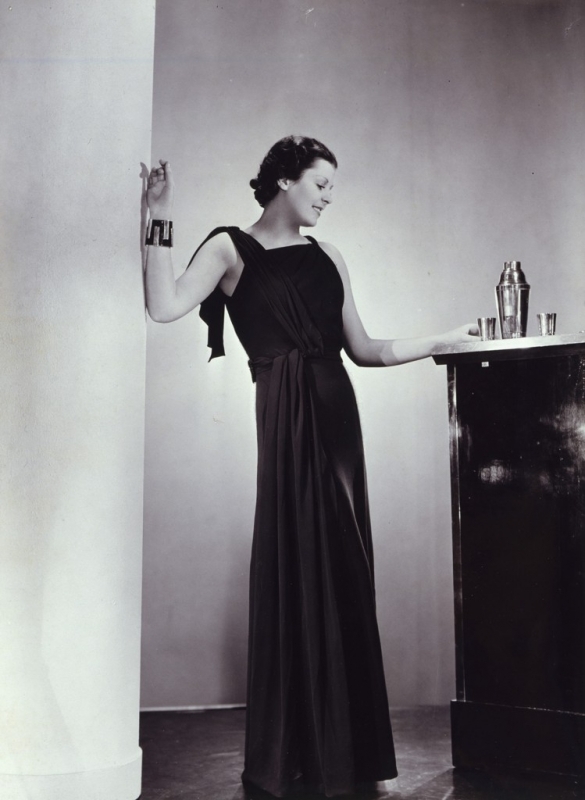 THE PEARLS NECKLESS :"THE FORD SIGNED BLUMFIELDS"
IN 1926 , THE AMERICAN EDITION OF VOGUE PRESENTED TE SMALL LITTLE BLACK DRESS AS, "THE FORD SIGNED CHANEL" TO BE WORN WITH NOTHING ELSE THAN A PEARLS NECKLESS".THE PEARLS NECKLESS IS THE "LADY BLUMFIELDS' "LITTLE BLACK DRESS" SAYS THE WRITER OGLA MAYR IN "LA RIVIERA RUSSE"MAGAZINE. 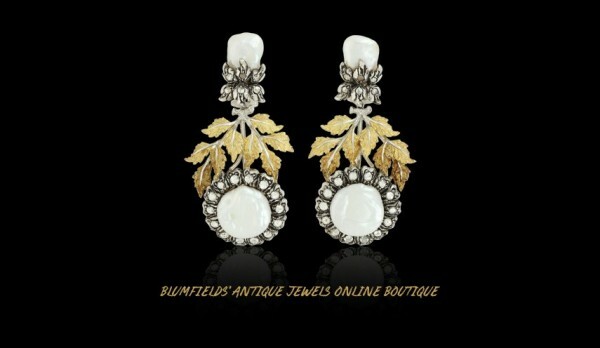 THE VINTAGE NEW JEWELERY ON WWW.BLUMFIELDS.COM. 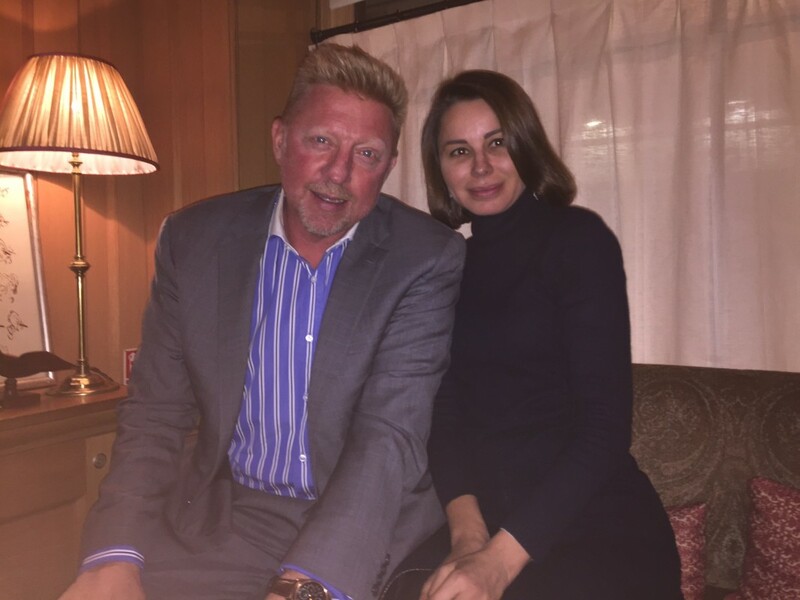 High-profile discussion between the tennis champion Boris Becker ,very fond of antique jewelry and Lady Blumfields on access to perfection. 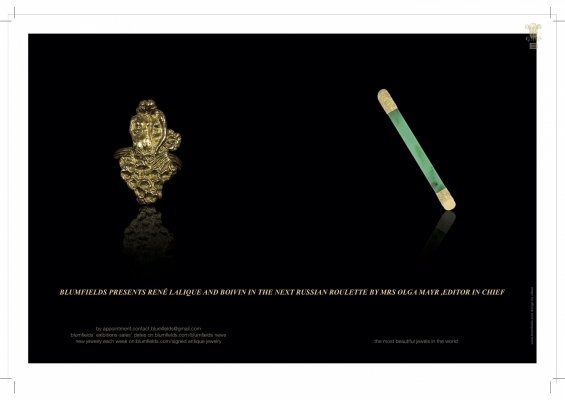 JEAN DESPRES "THE GOLDSMITHS PICASSO"
The hope is stonger than cancer! 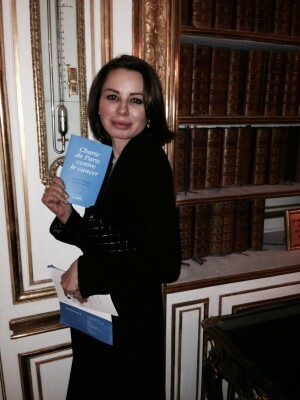 Fondation "AVEC" gala evening at the Palais de Versailles with Lady Blumfields. THE FAMOUS WRITER OLGA MAYR CELEBRATES , WITH LADY BLUMFIELDS, THE CULTURE , THE HISTORY AND THE CREATIVITY OF JEWELERY THOUGHT THE THE YEARS IN THE NEW DECEMBER"RIVIERA RUSSE"MAGASINE. In exclusivity for Harrods, the English/ American artist, Marc-Antoine Goulard, after signing one of the two catalogues of antique jewelry actually online on www.blumfields.com had created a sofa for ligne Roset . Like the Museum des arts decoratifs of Paris, BLUMFIELDS has an exceptional Museum 1930's JEAN DESPRÉS brooch listed in the book directed by jean Després, combining deposited models of jewelry between 1928 and 1933.